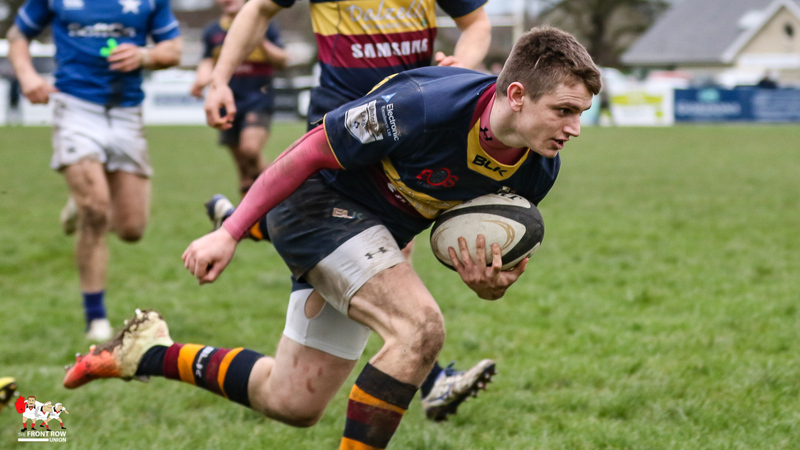 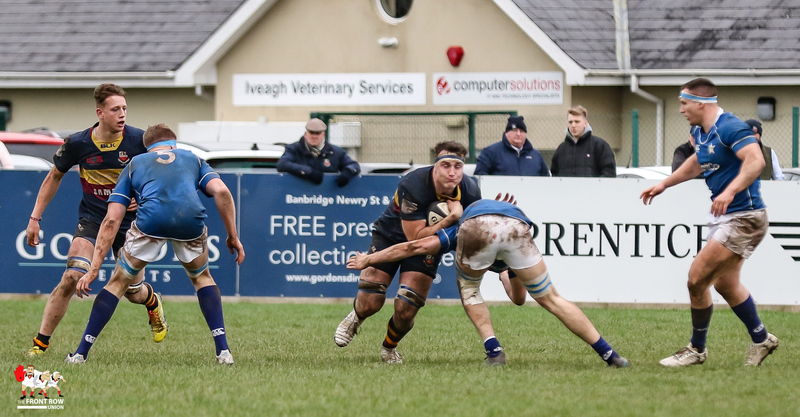 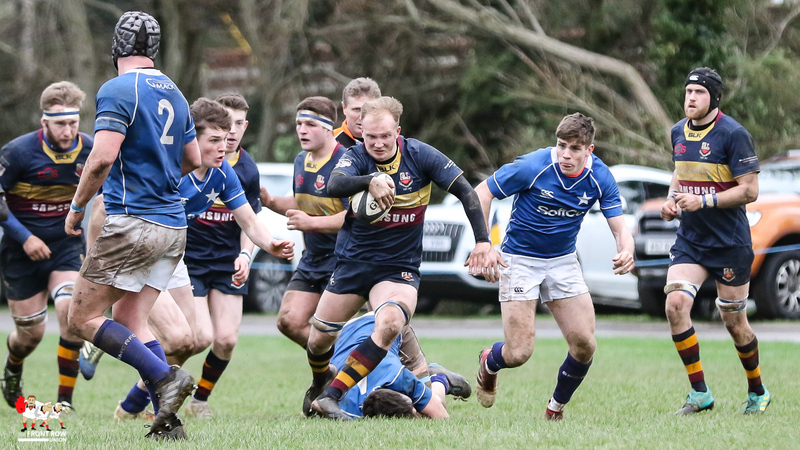 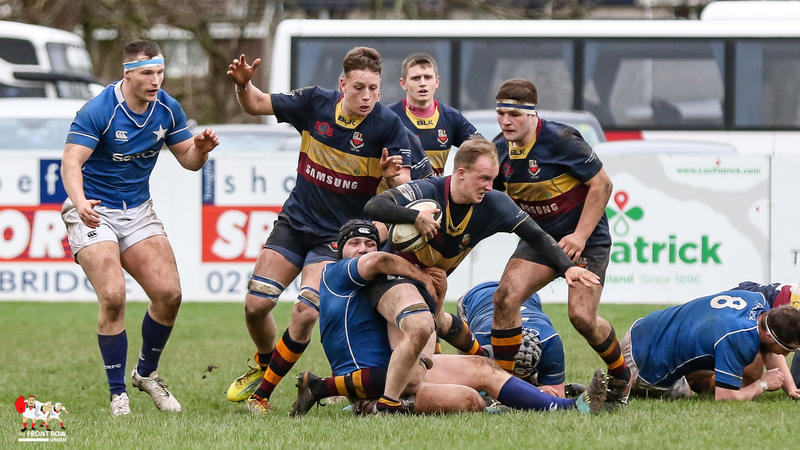 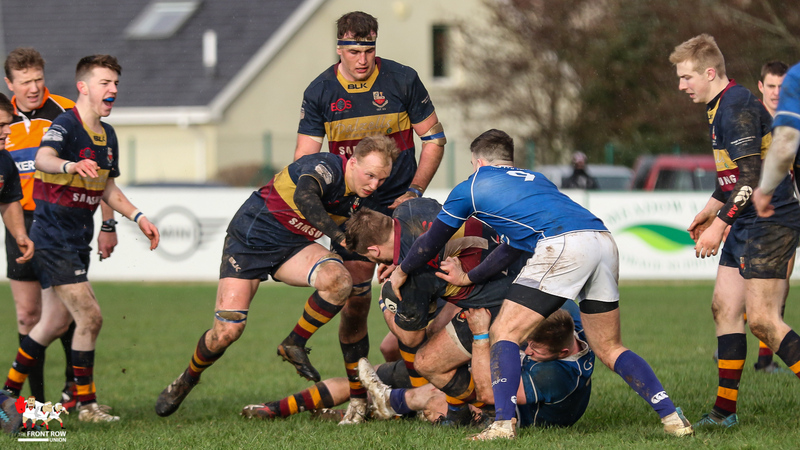 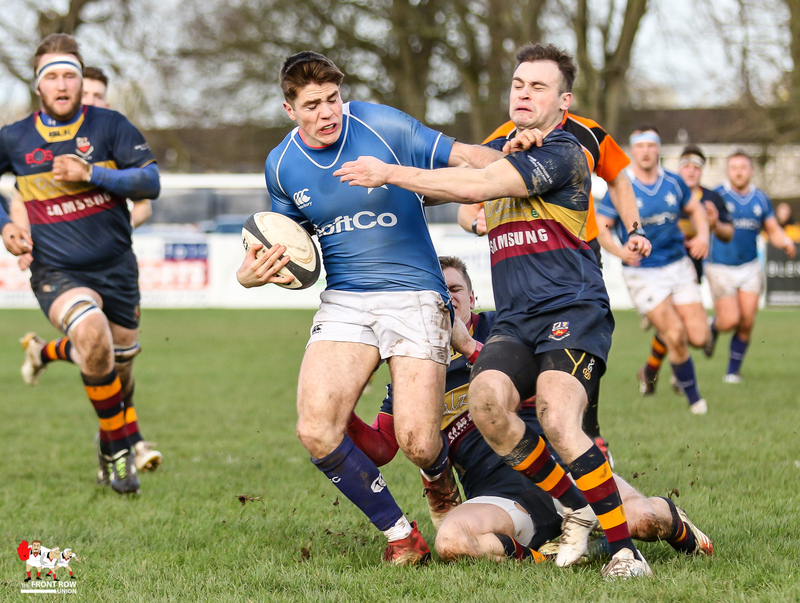 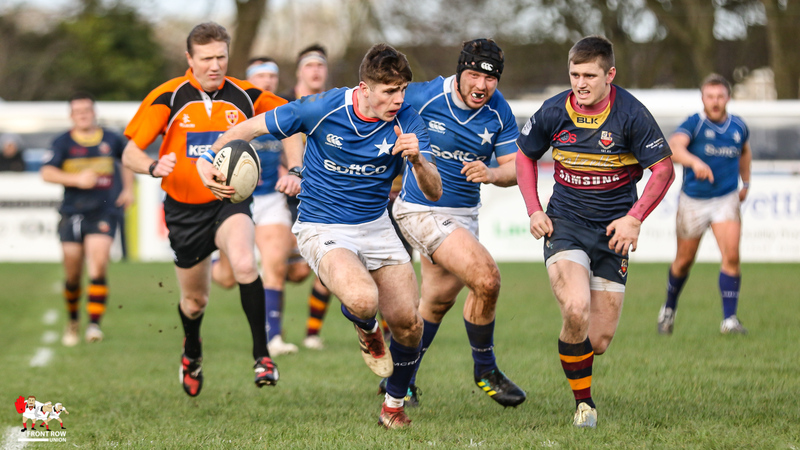 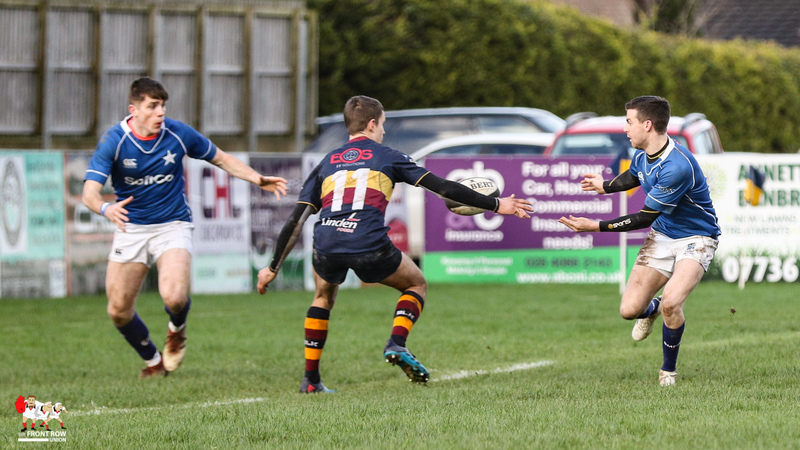 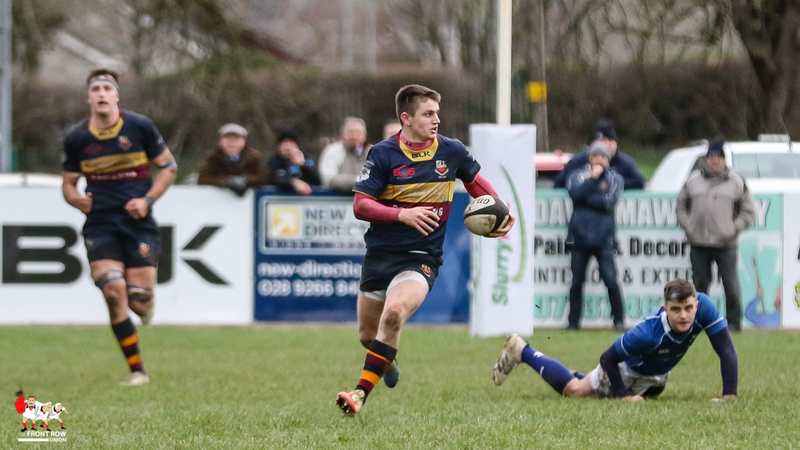 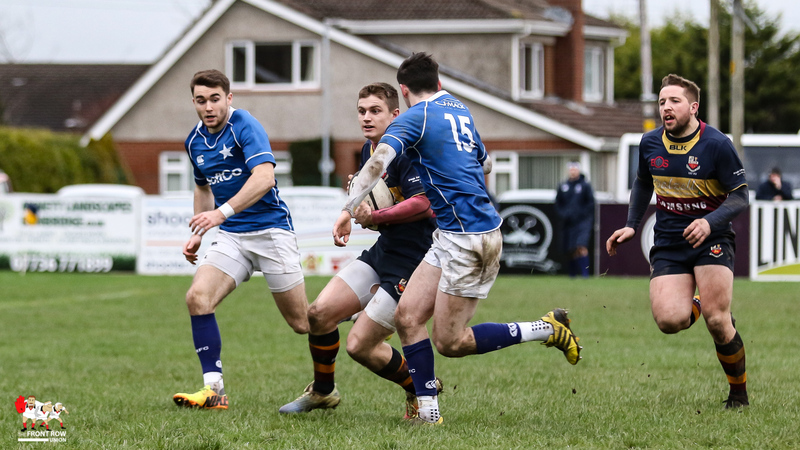 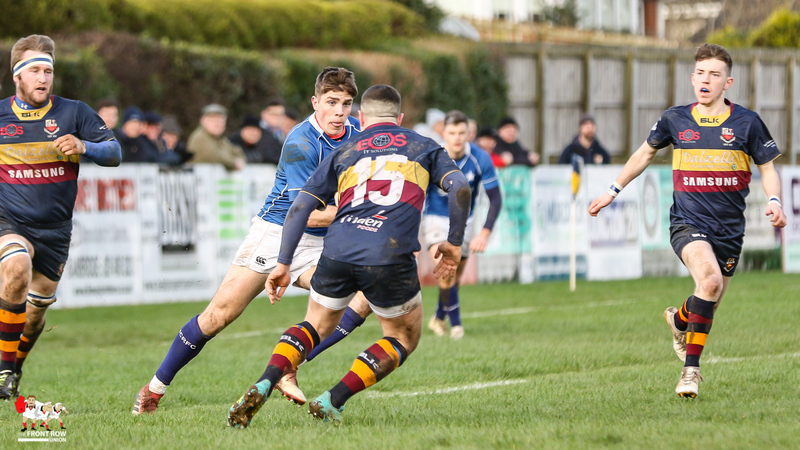 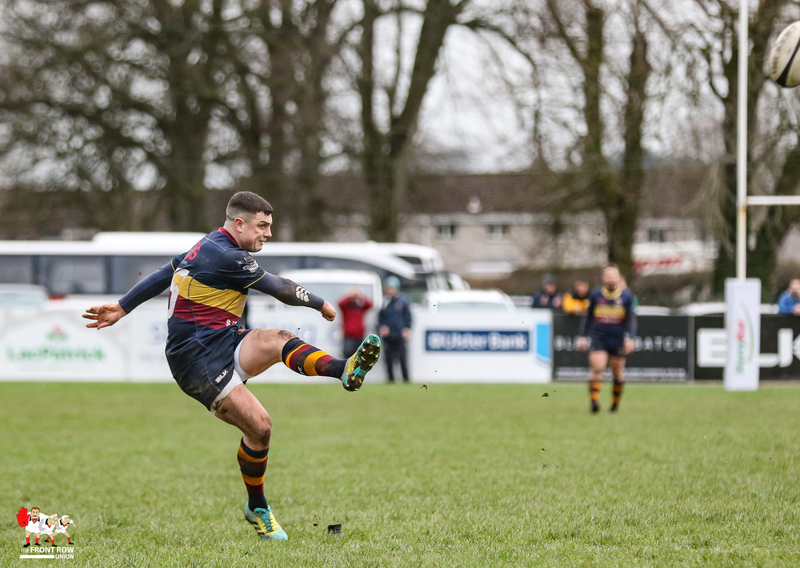 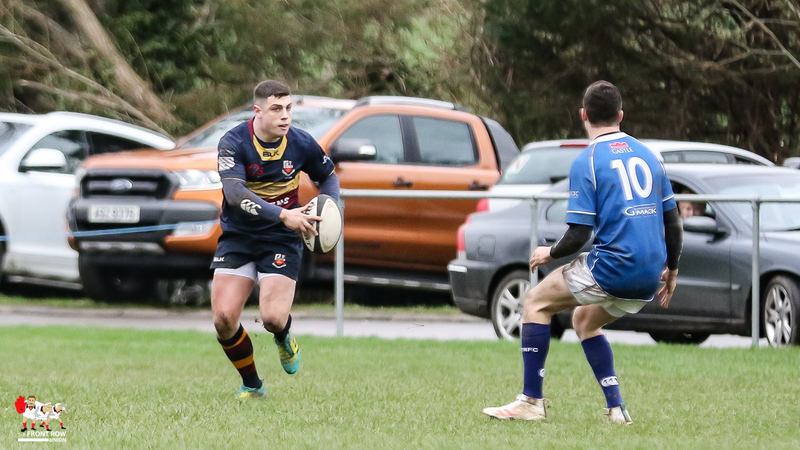 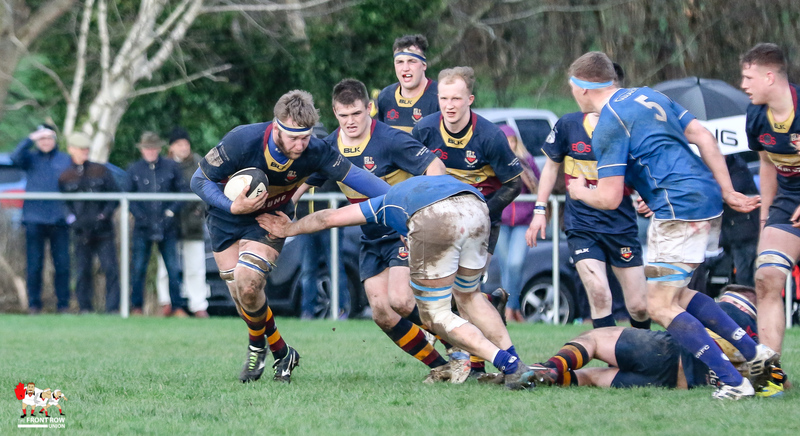 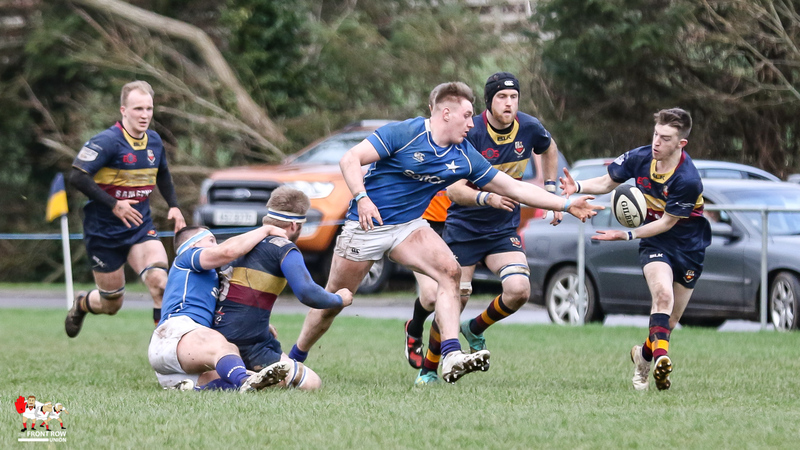 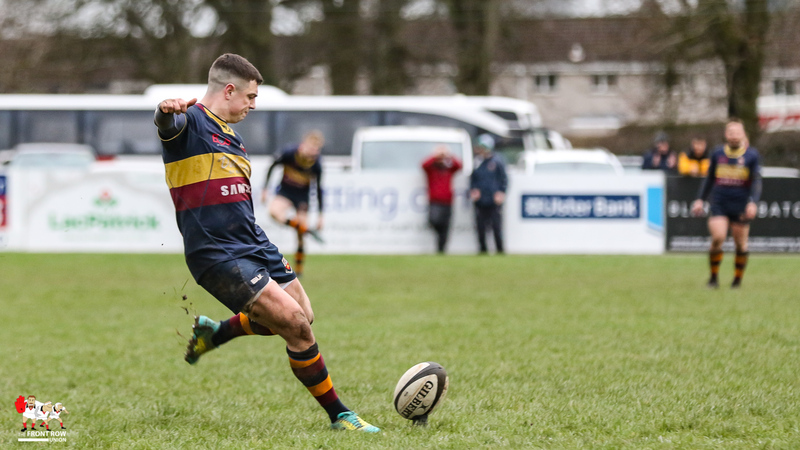 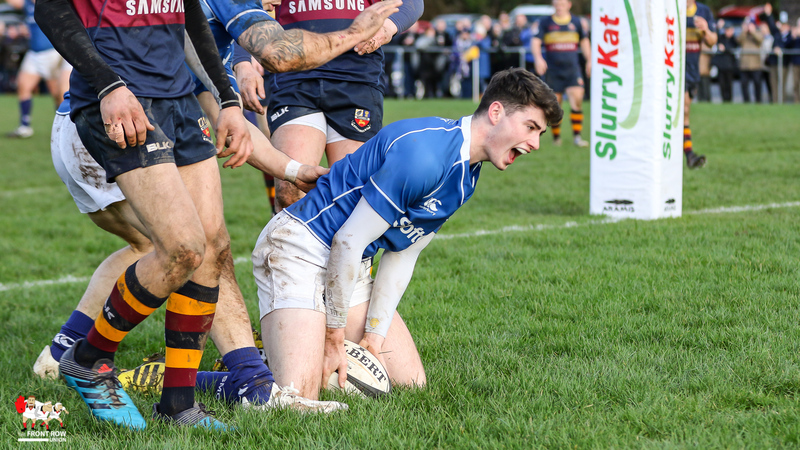 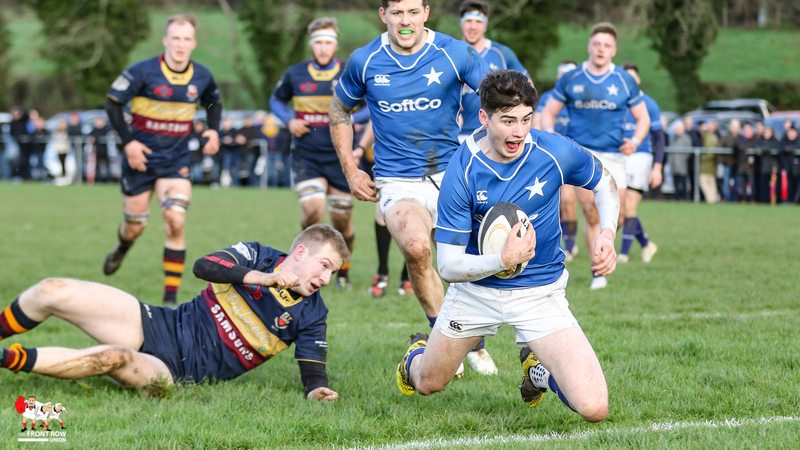 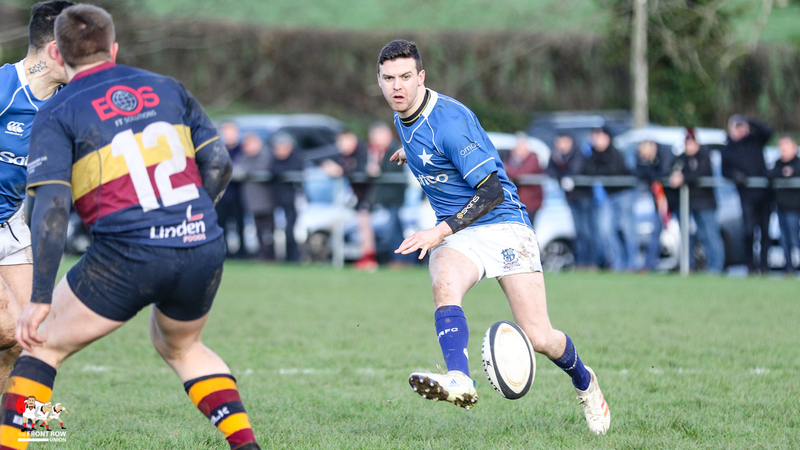 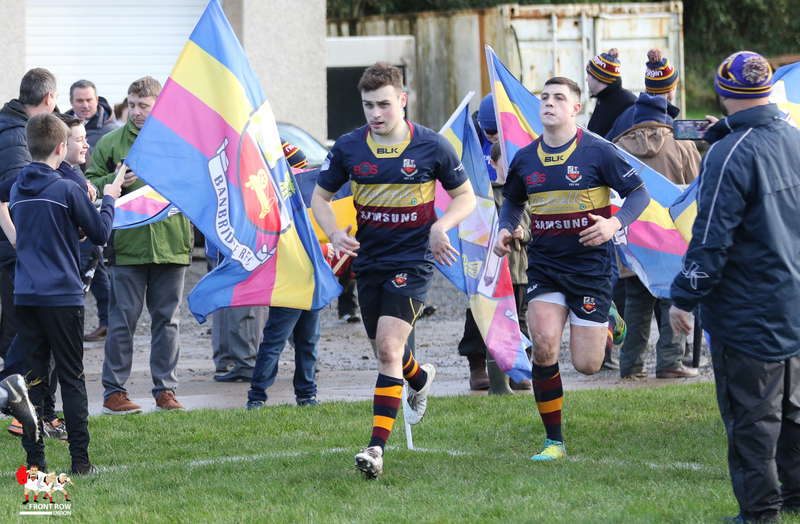 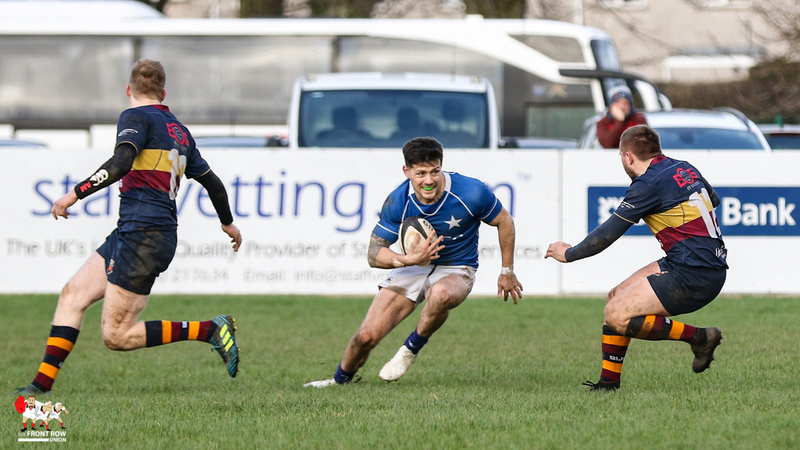 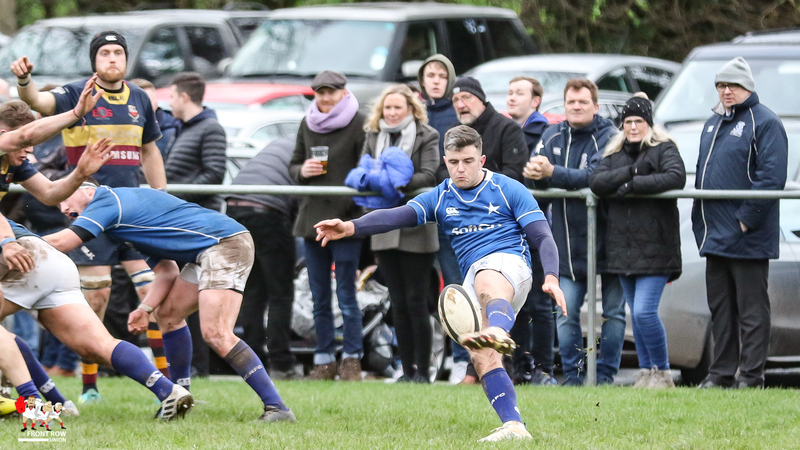 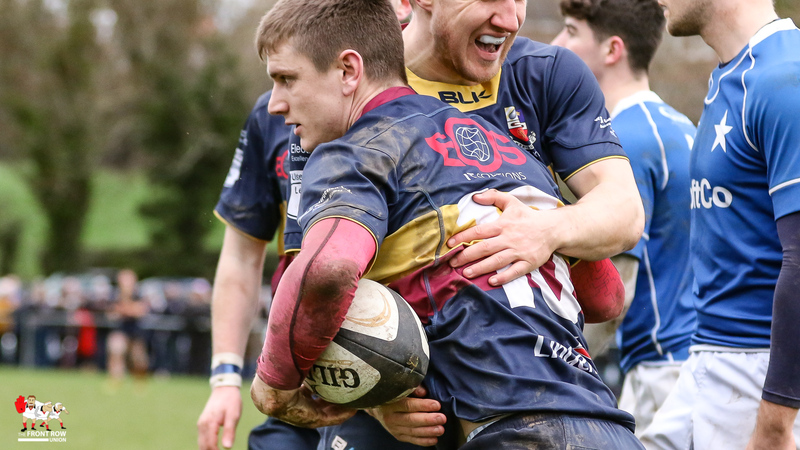 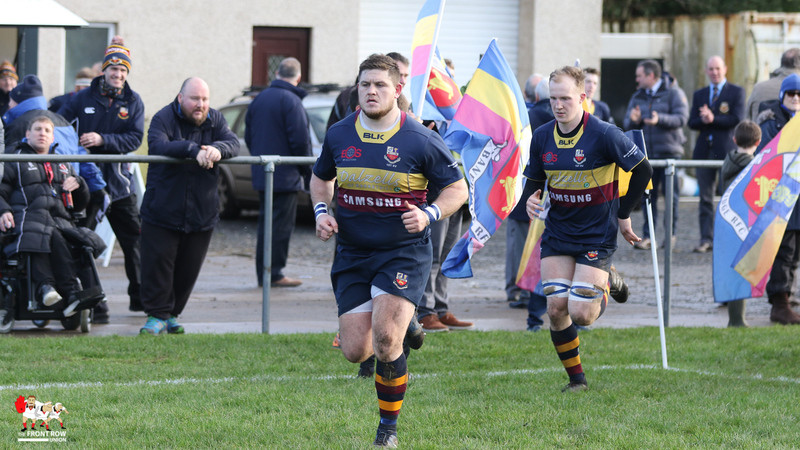 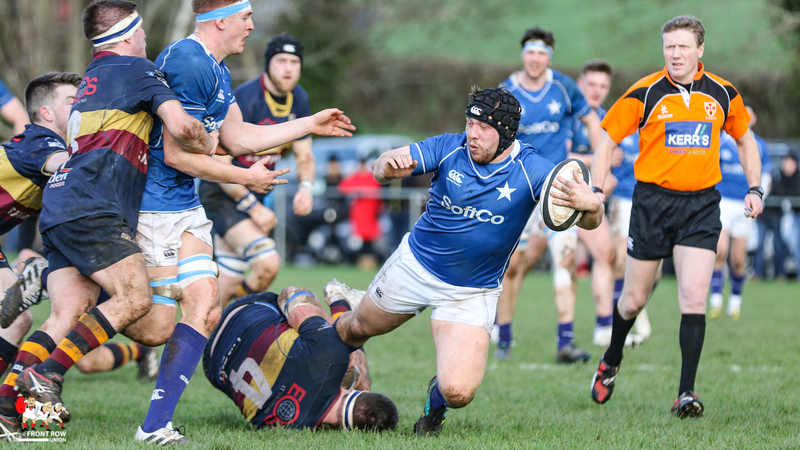 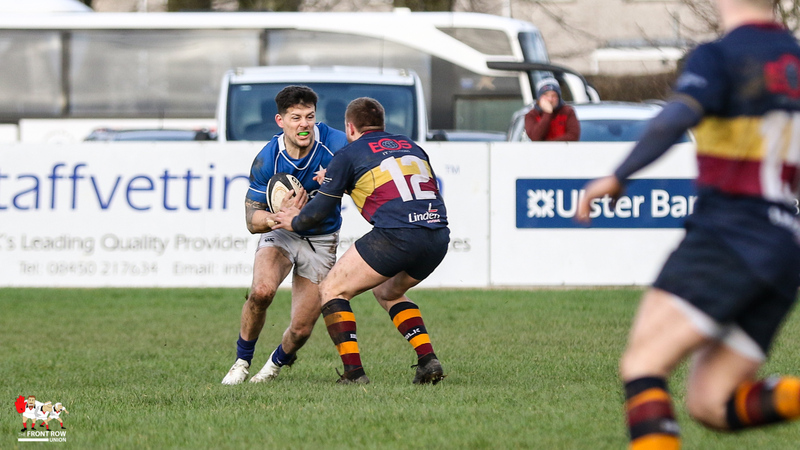 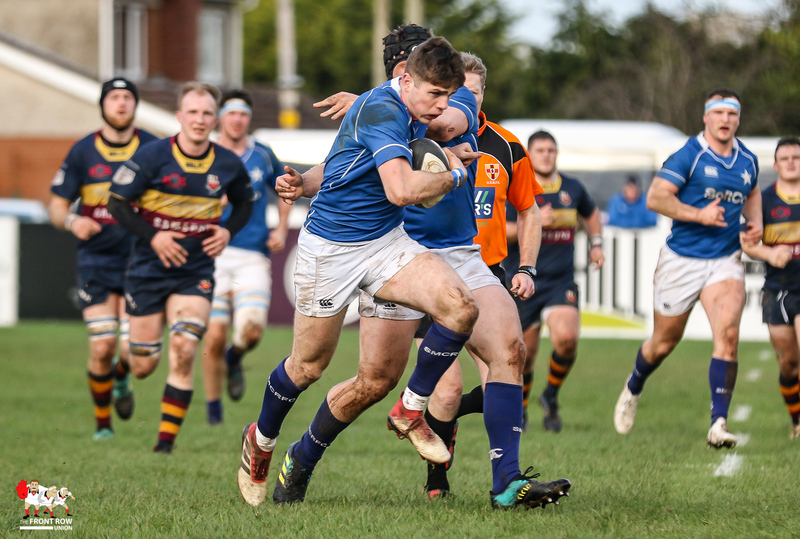 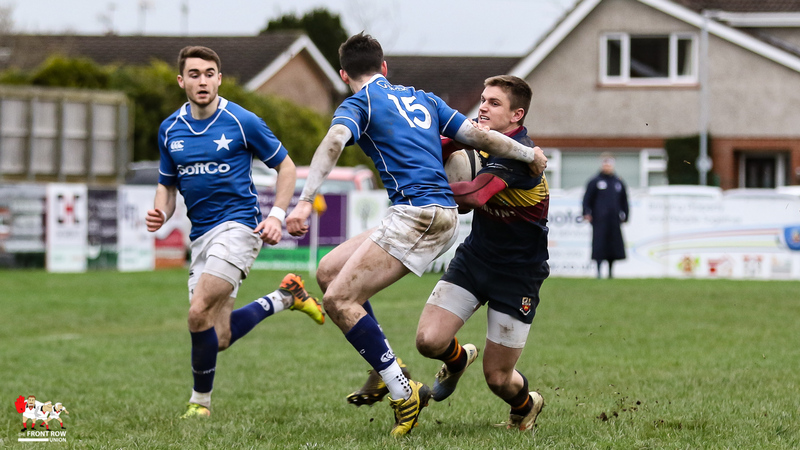 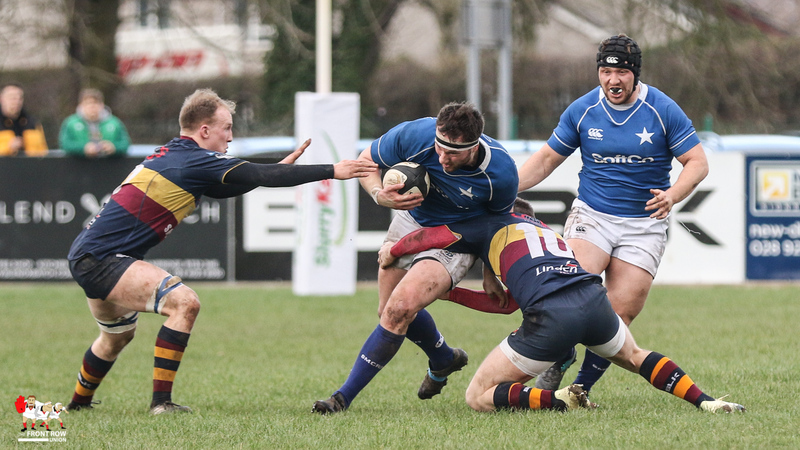 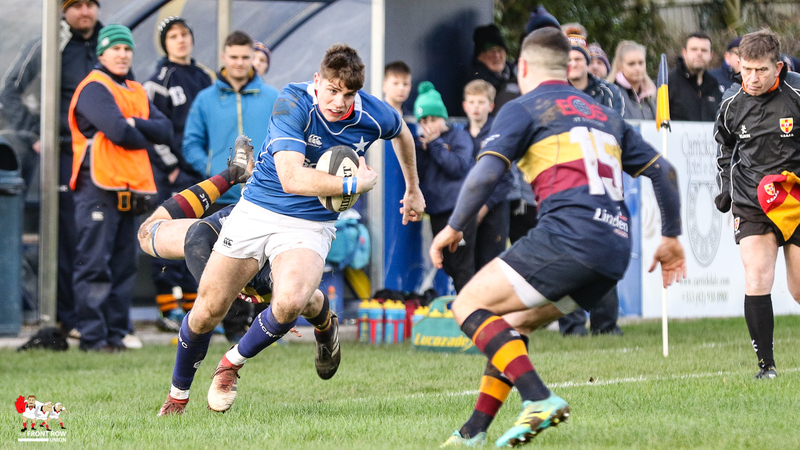 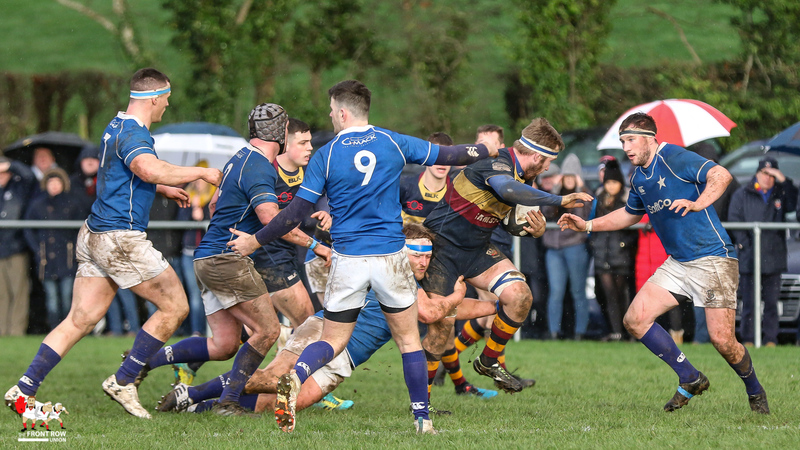 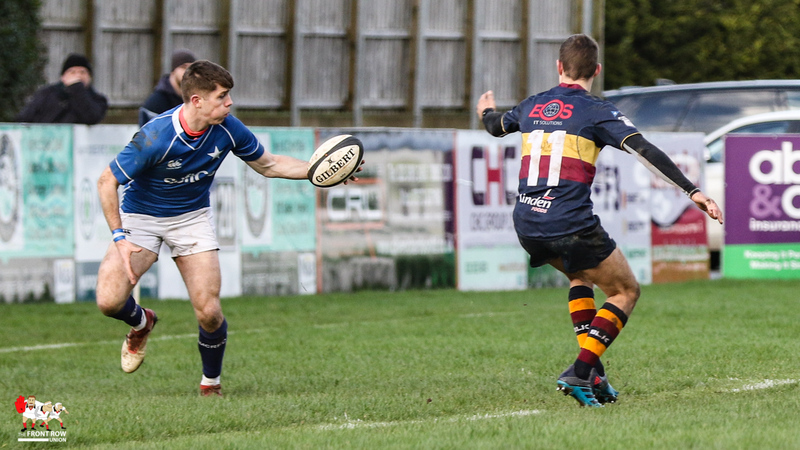 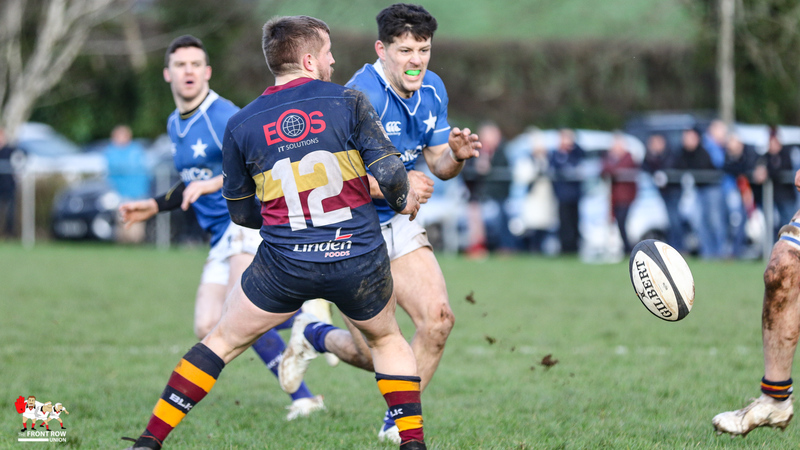 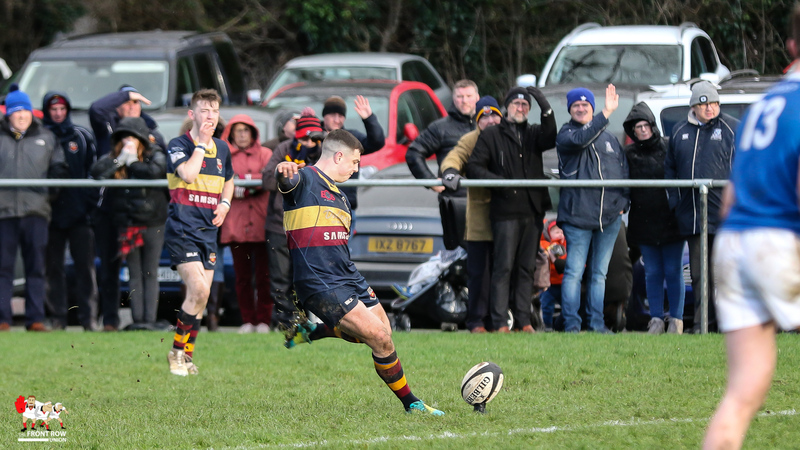 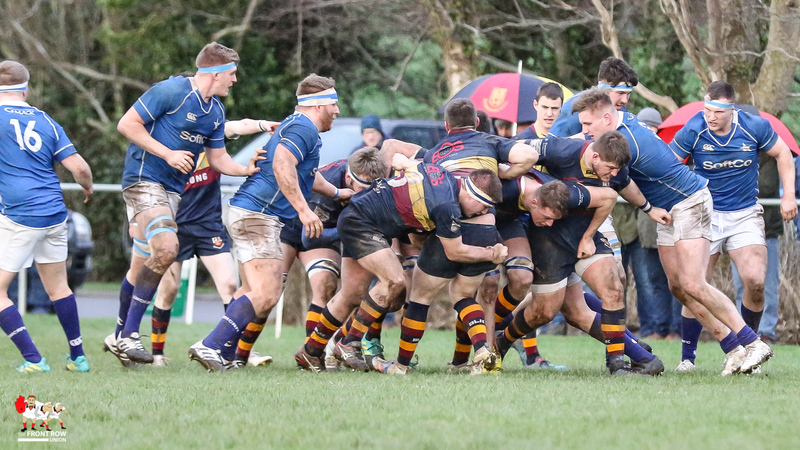 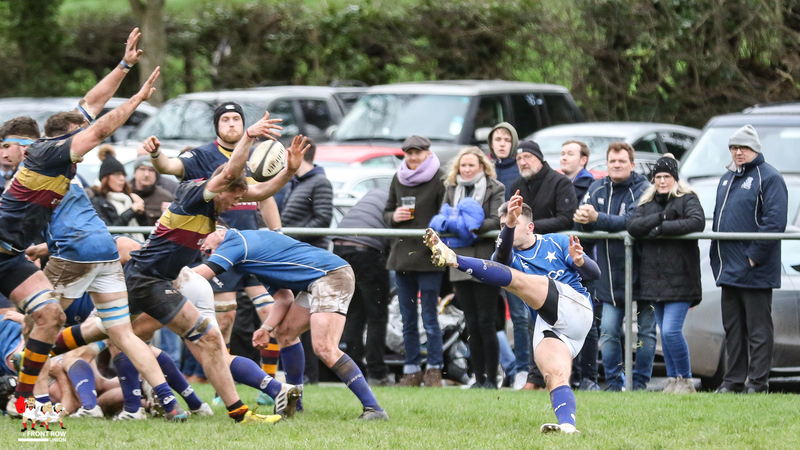 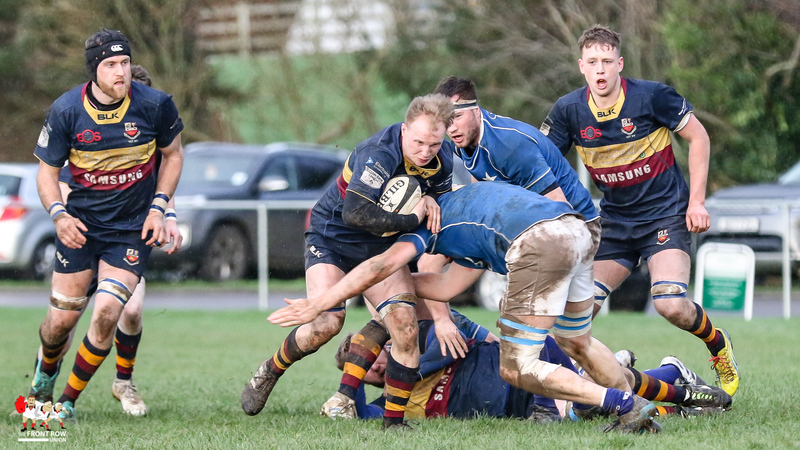 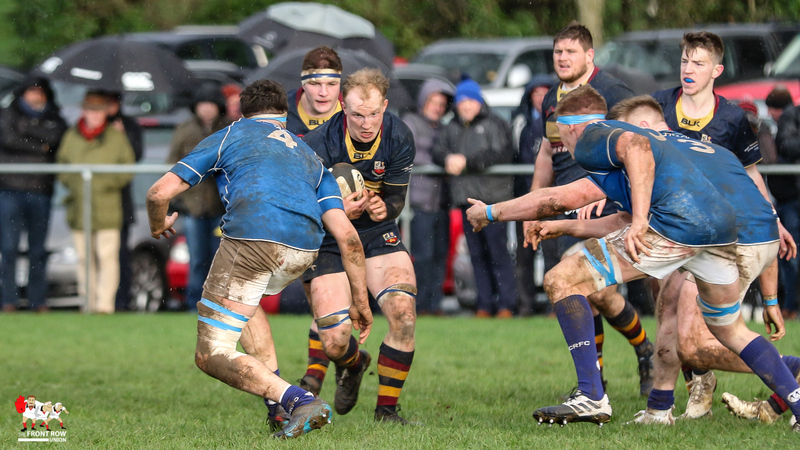 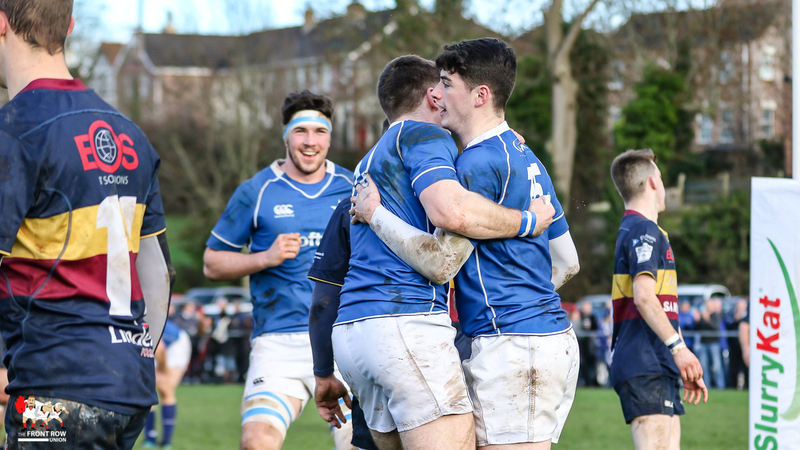 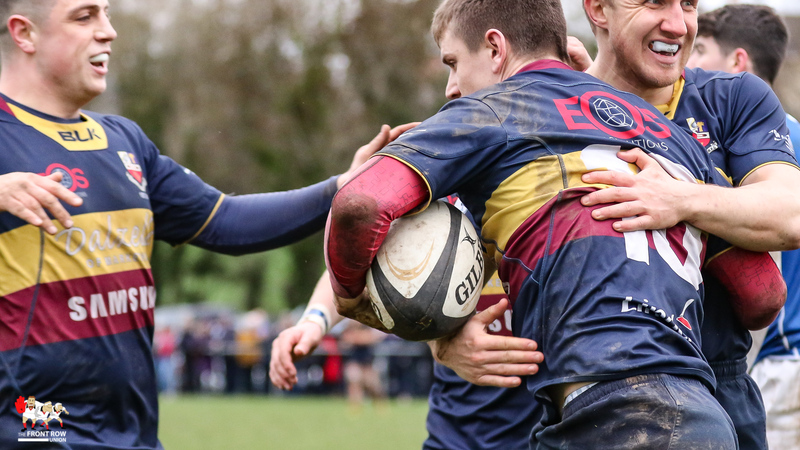 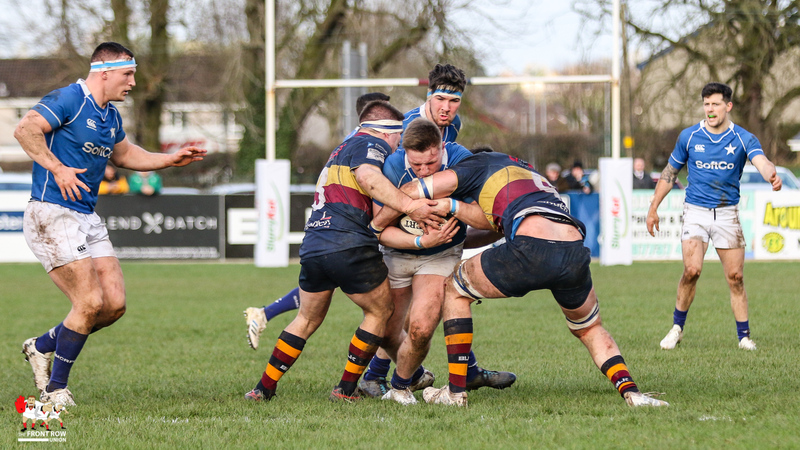 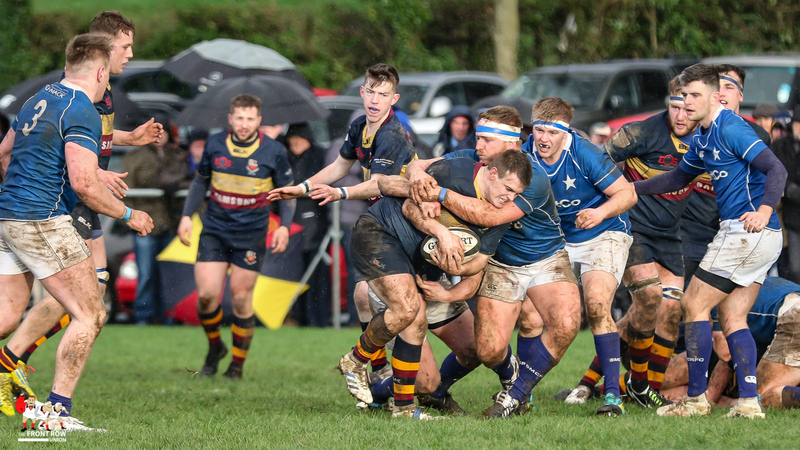 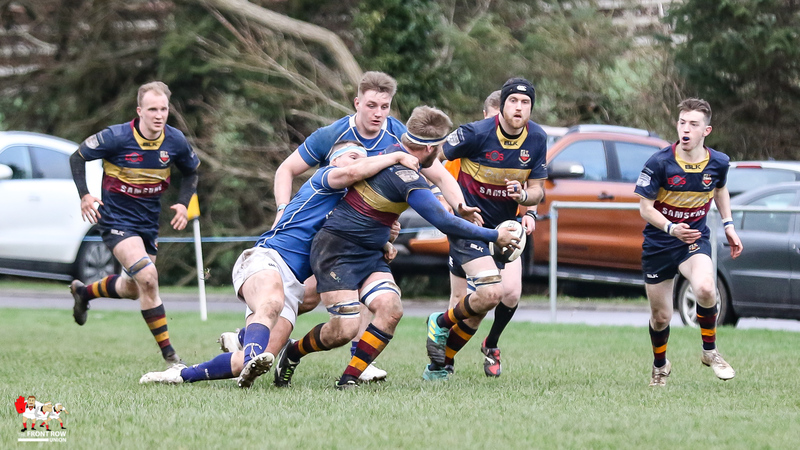 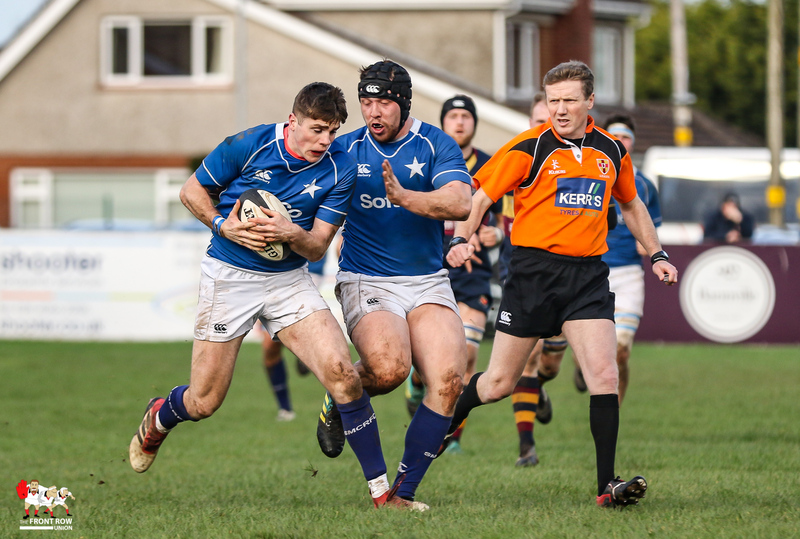 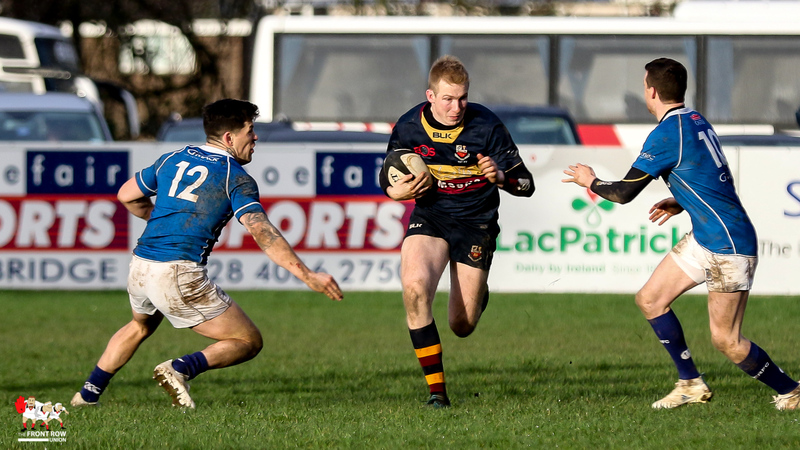 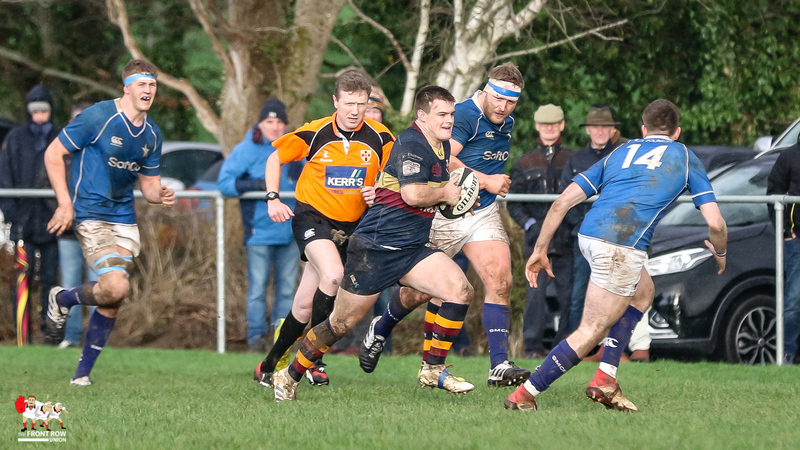 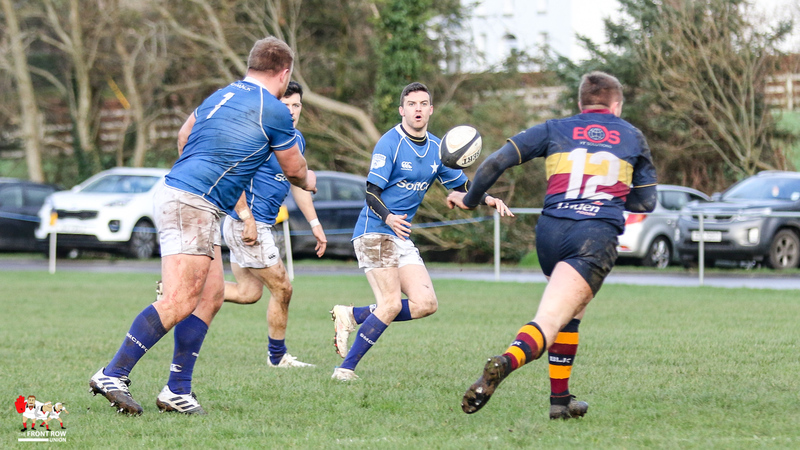 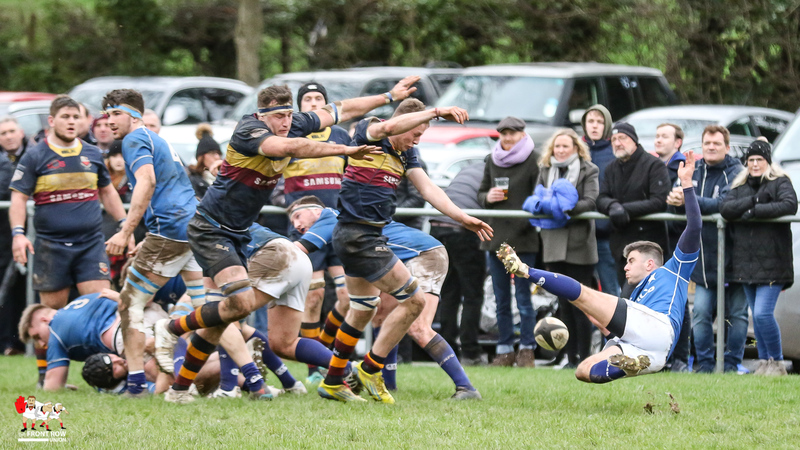 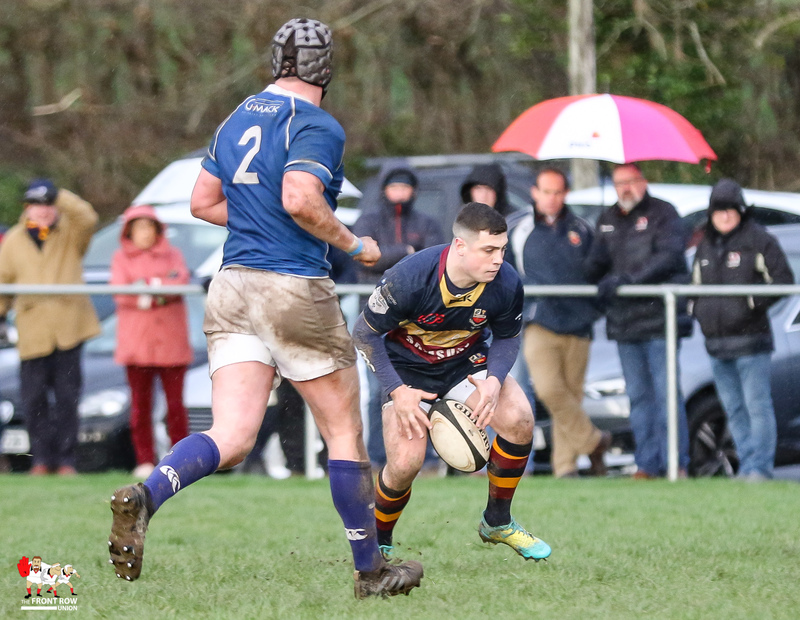 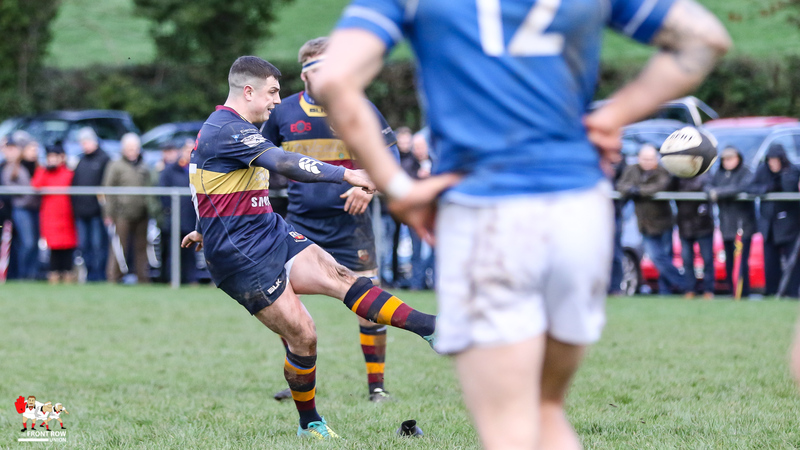 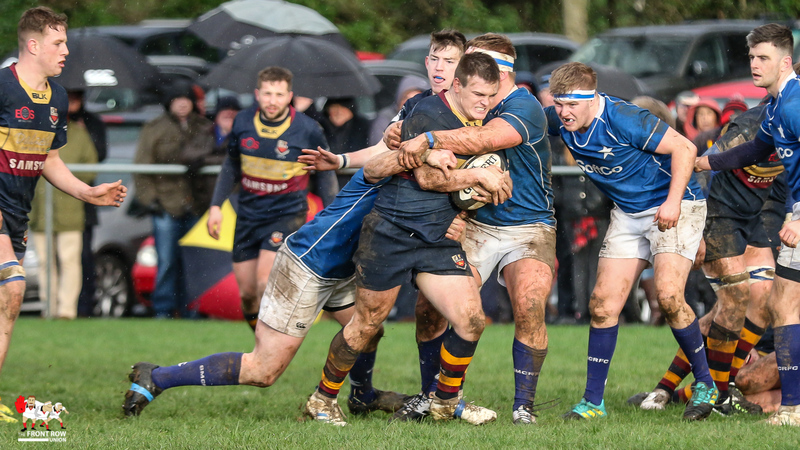 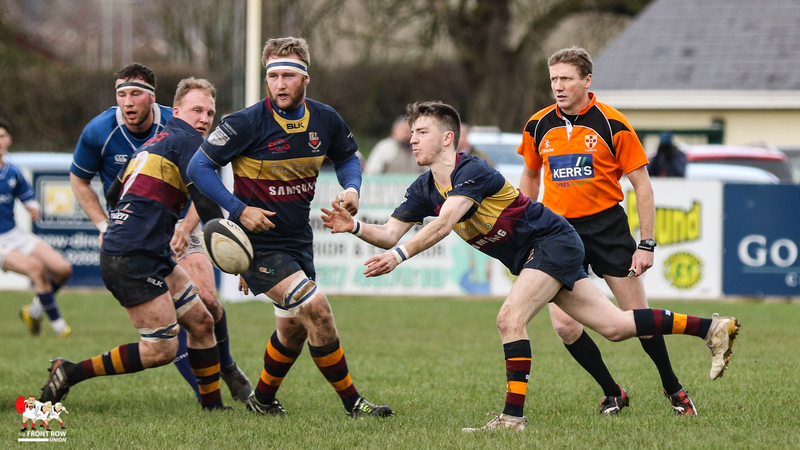 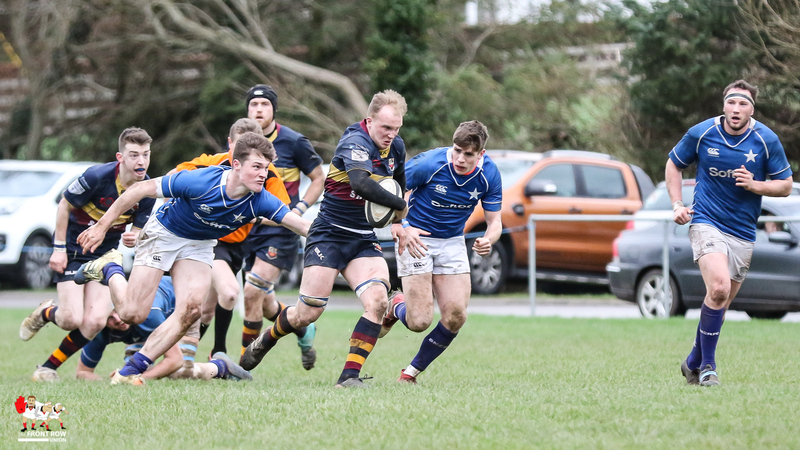 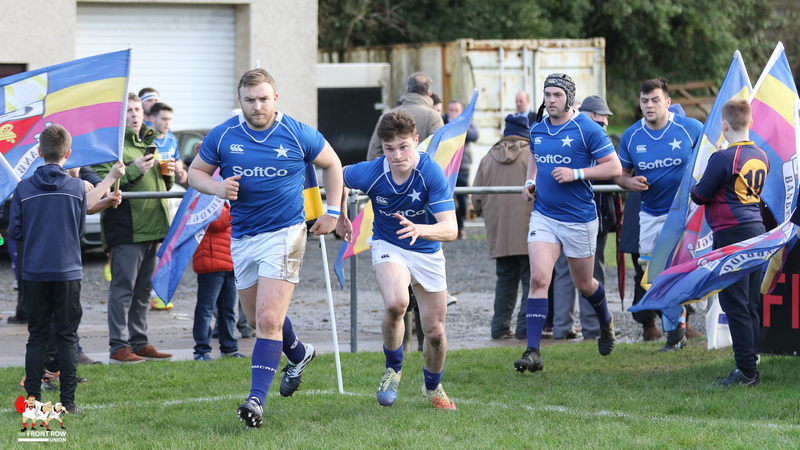 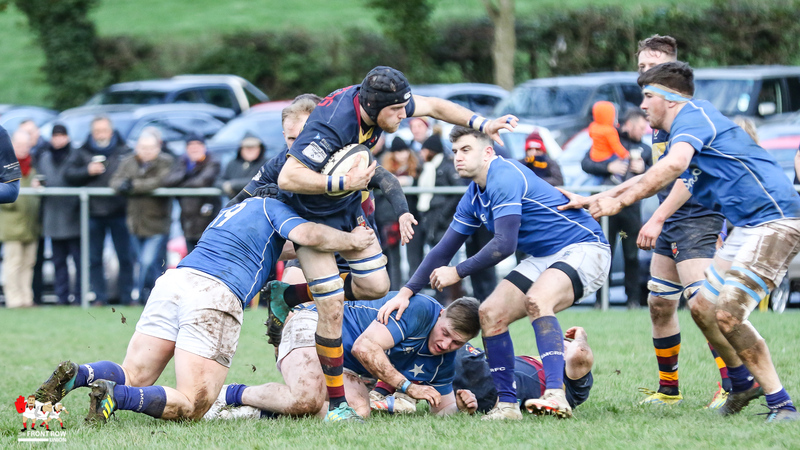 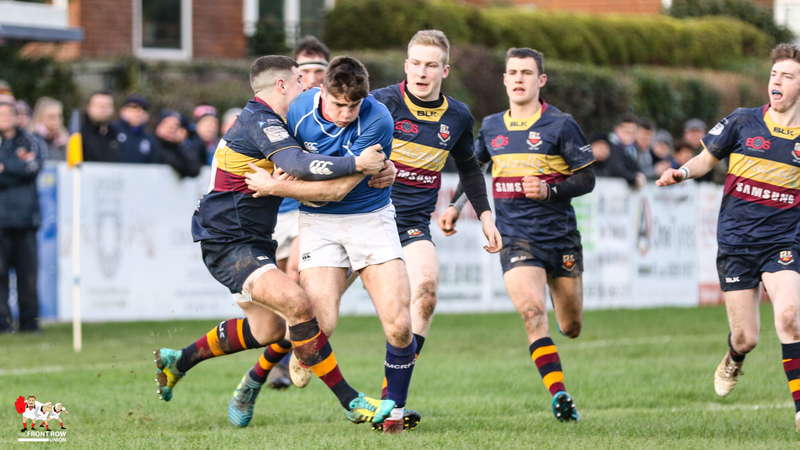 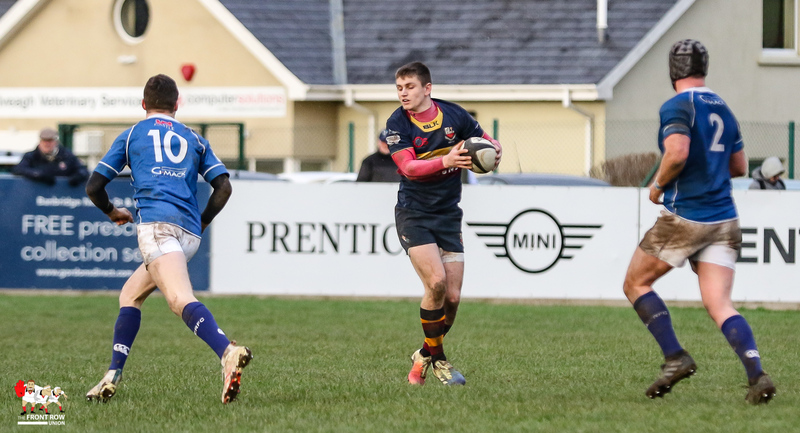 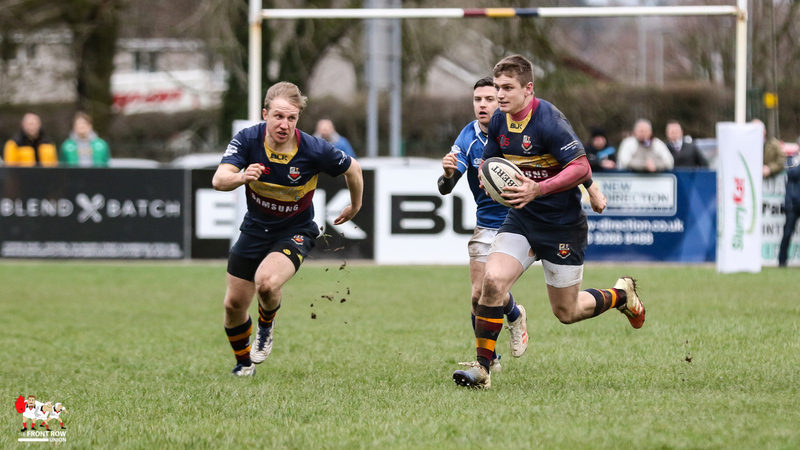 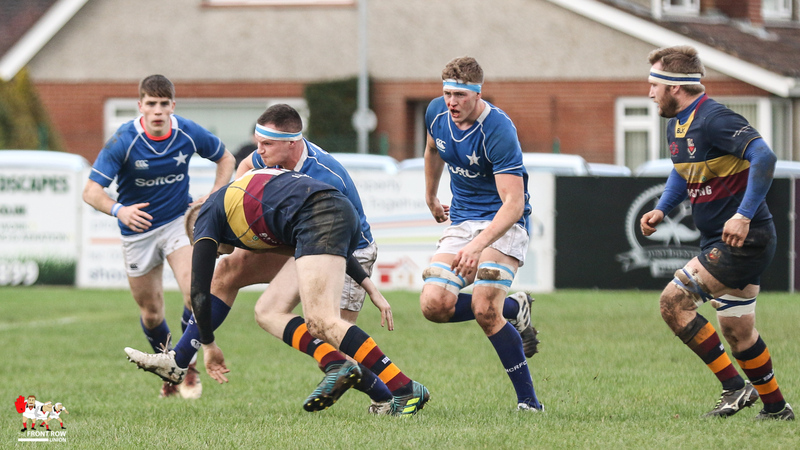 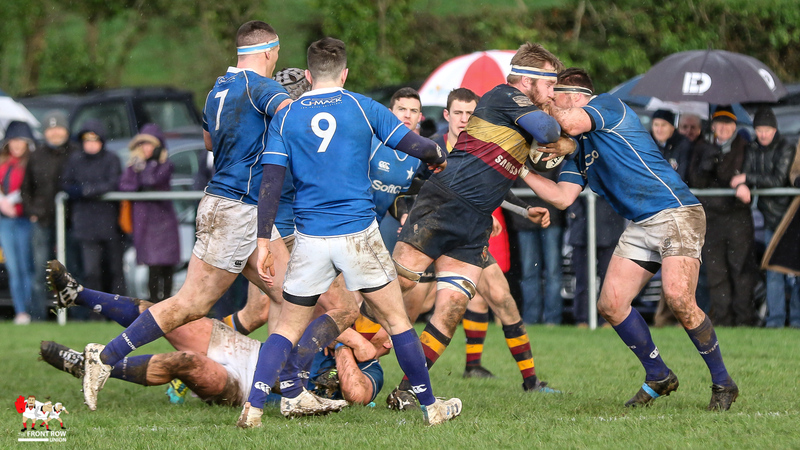 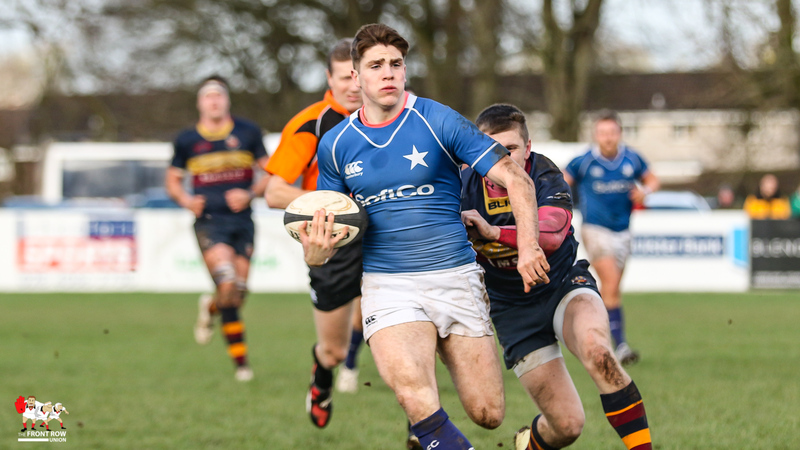 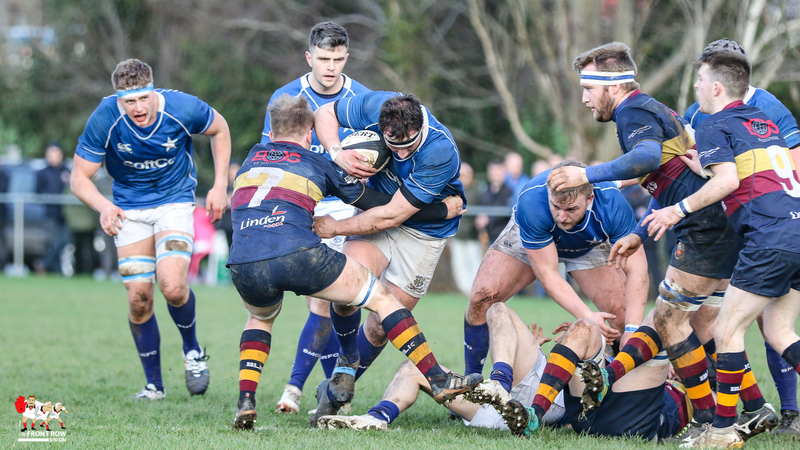 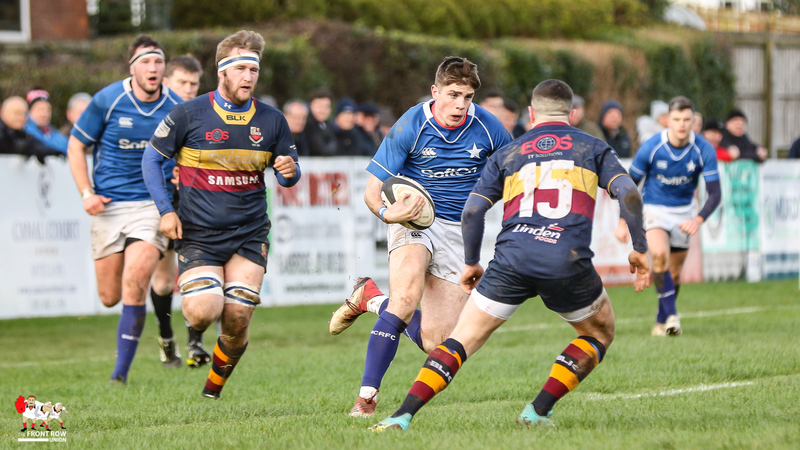 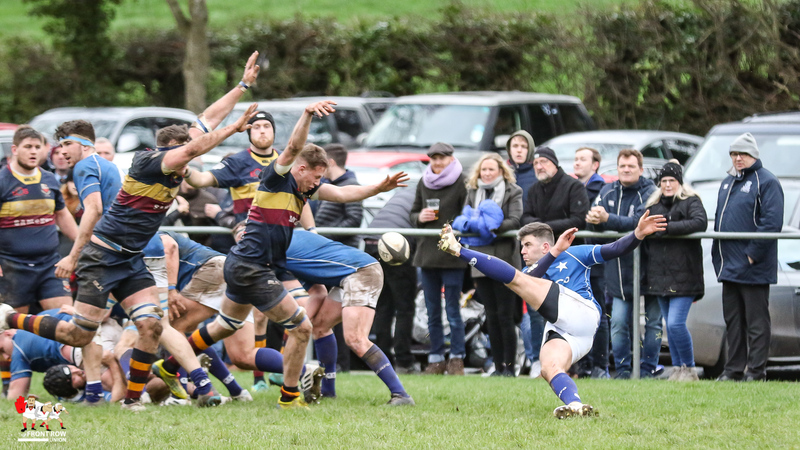 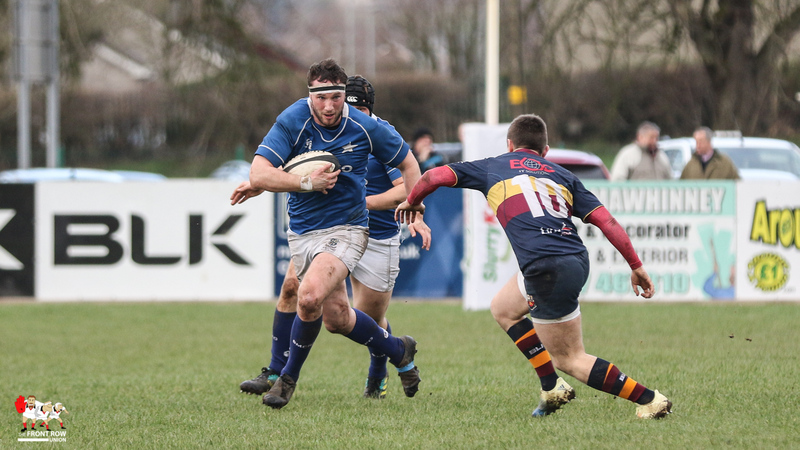 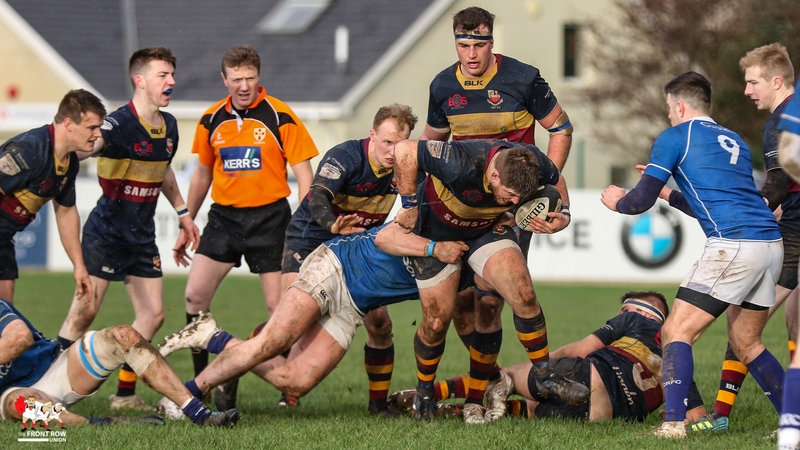 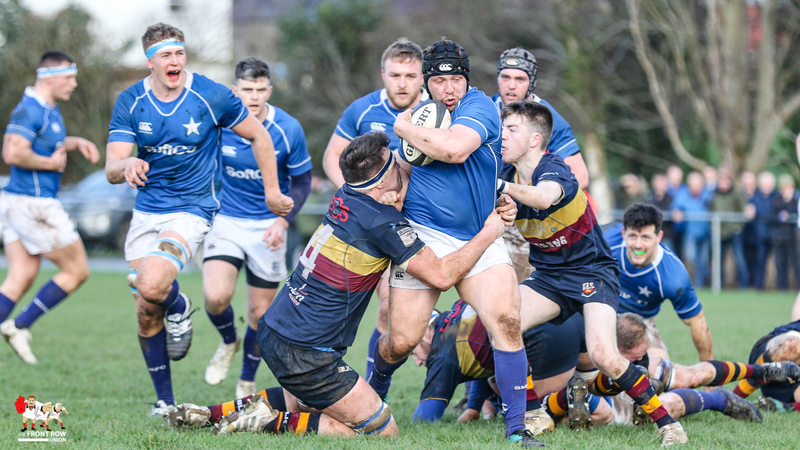 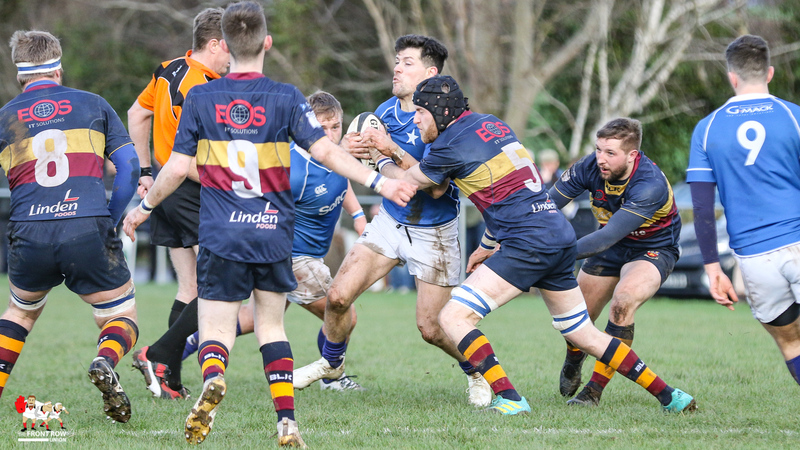 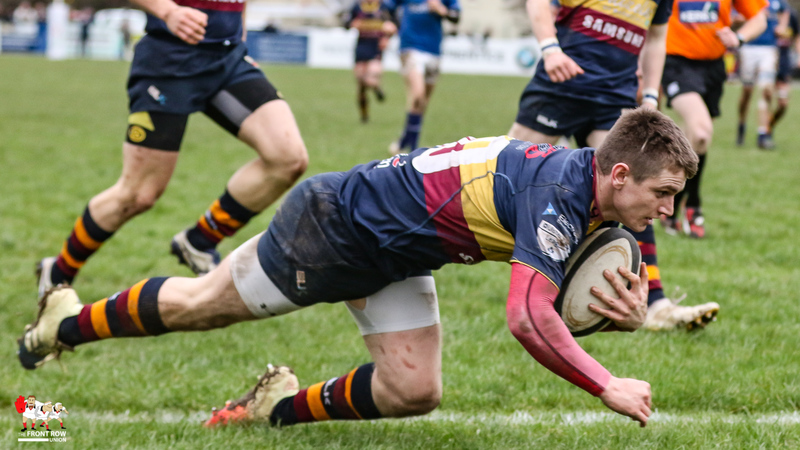 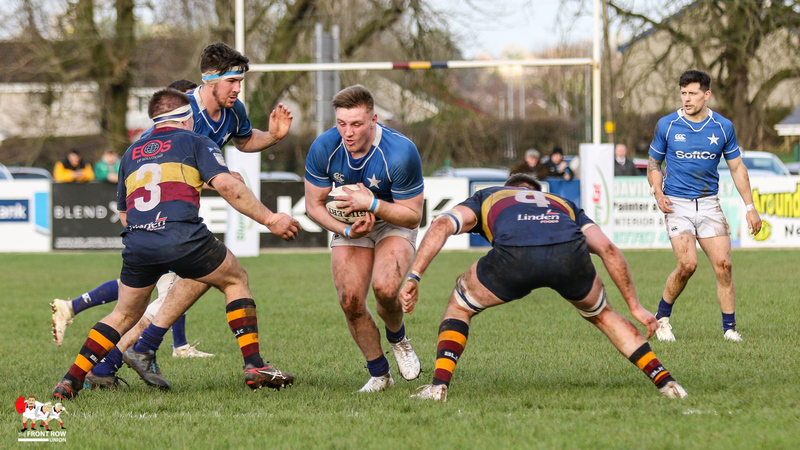 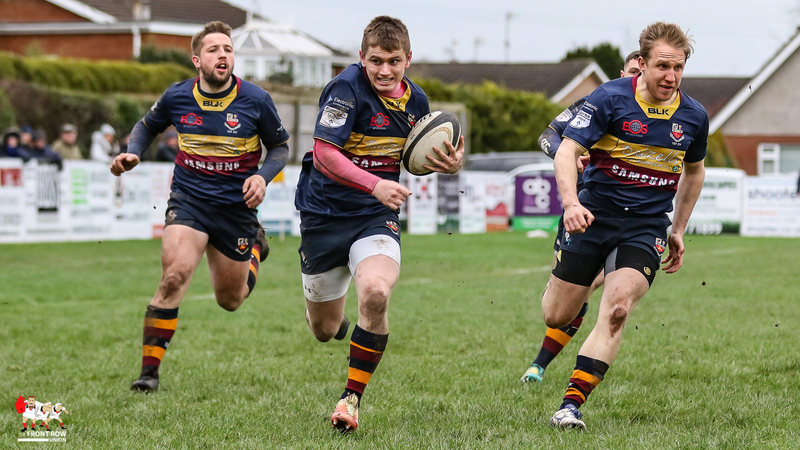 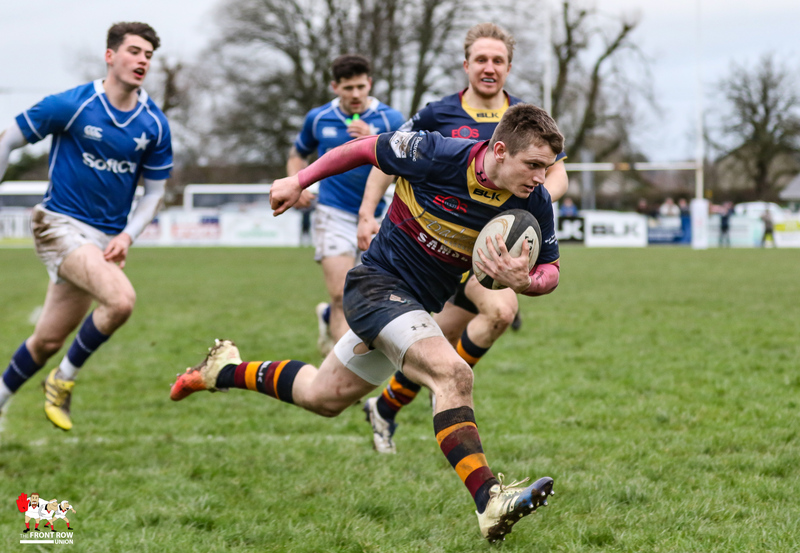 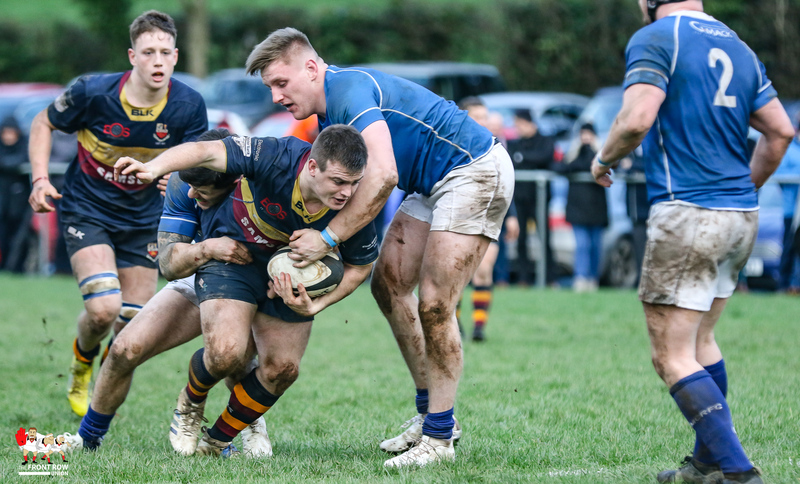 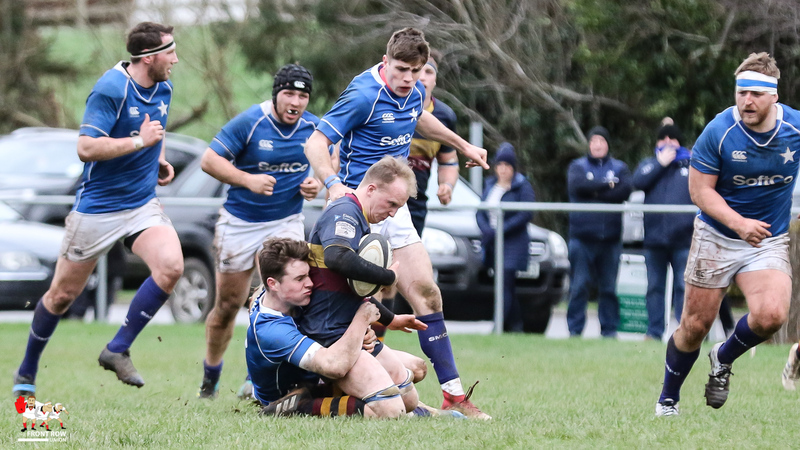 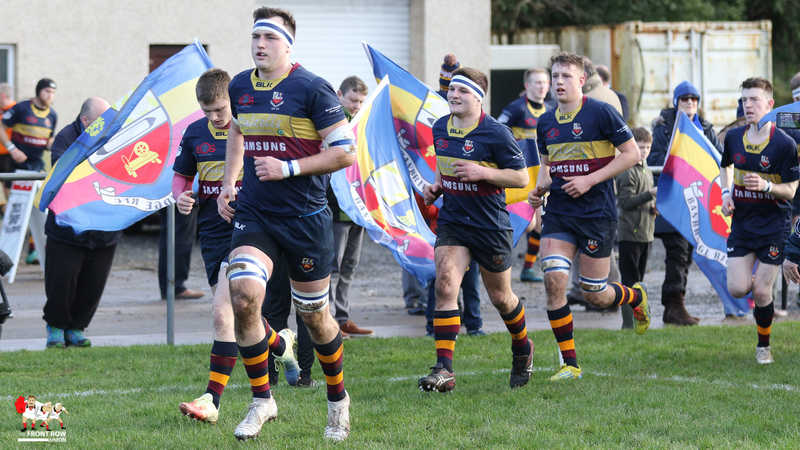 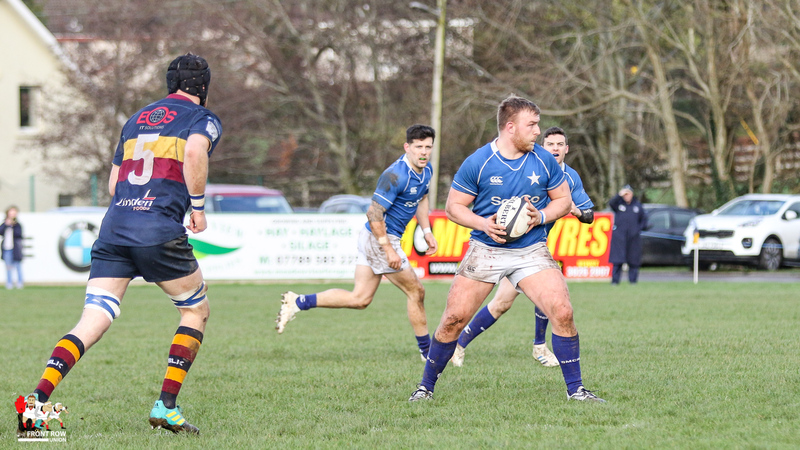 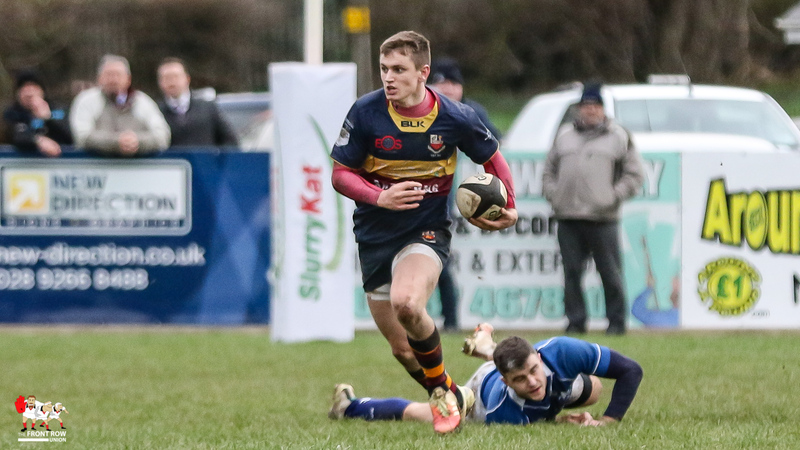 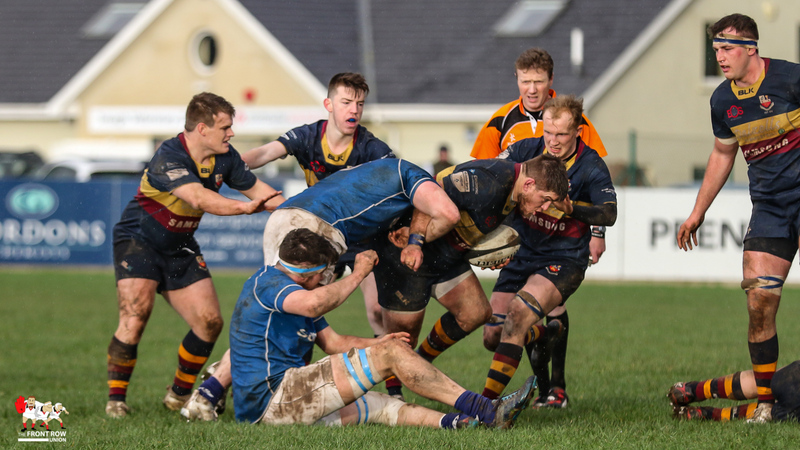 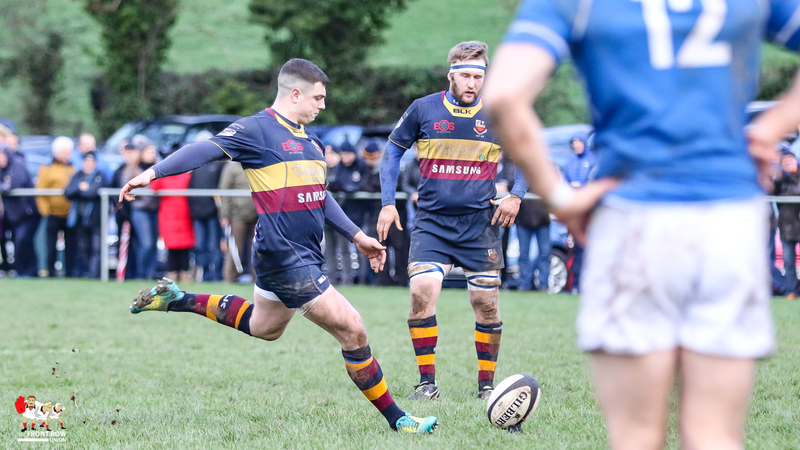 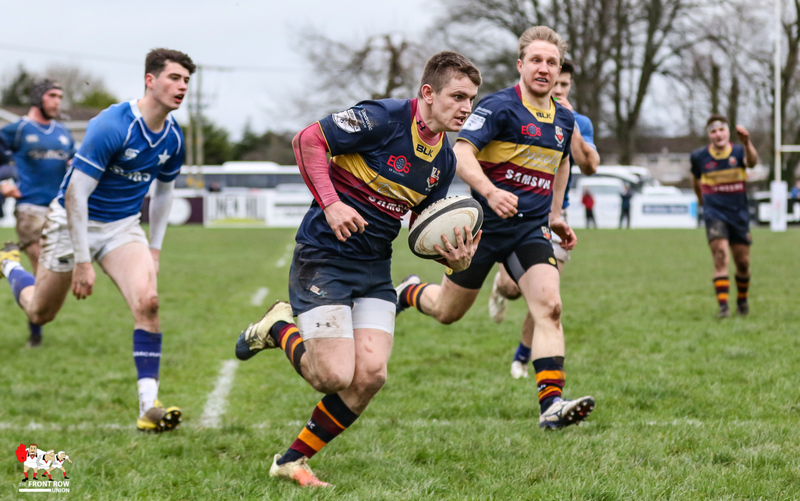 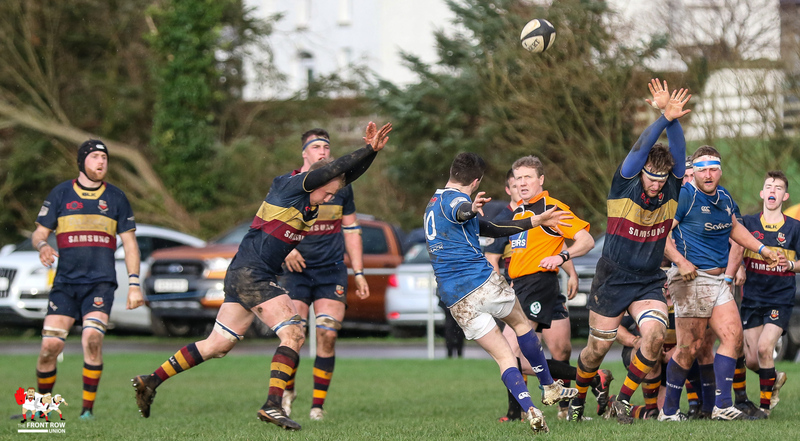 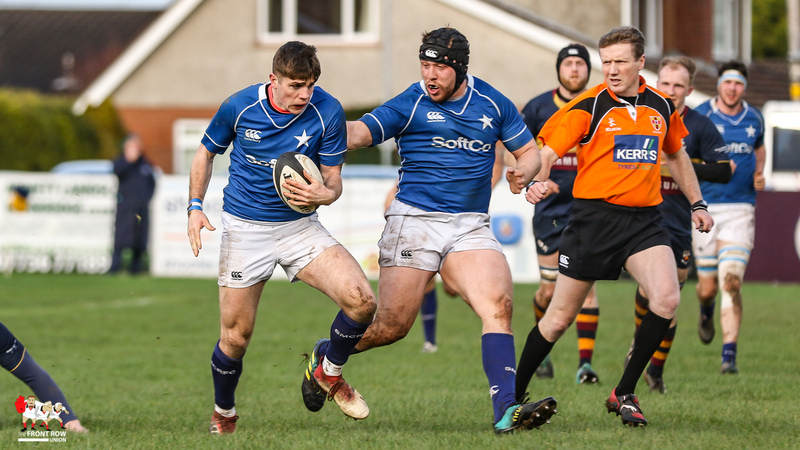 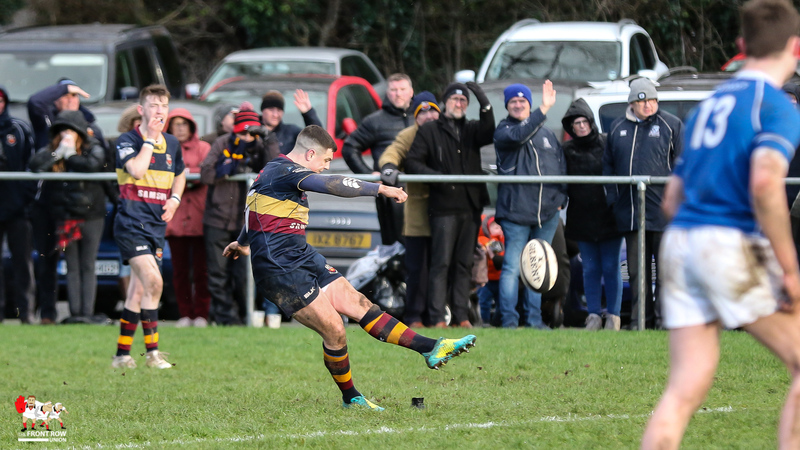 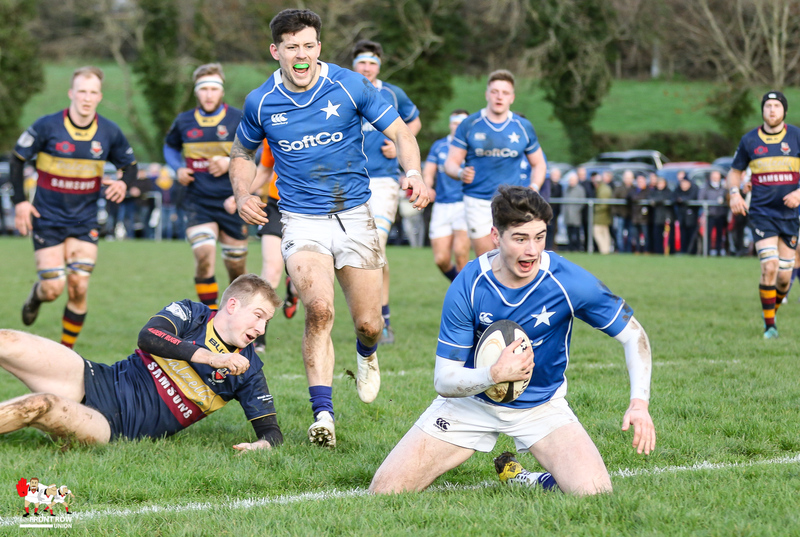 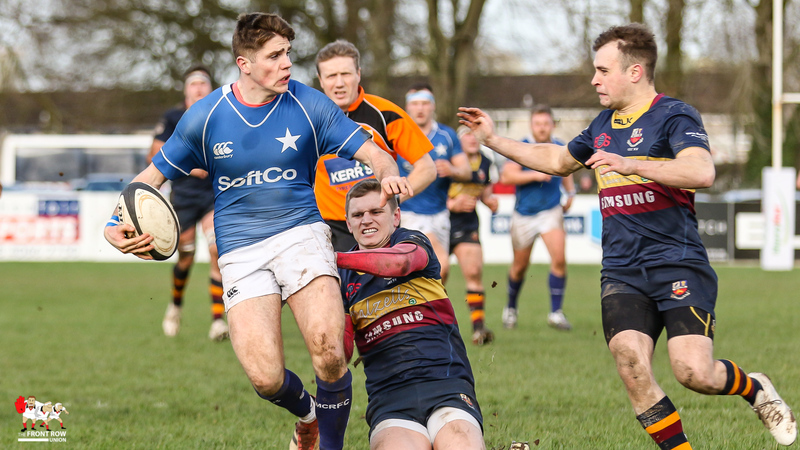 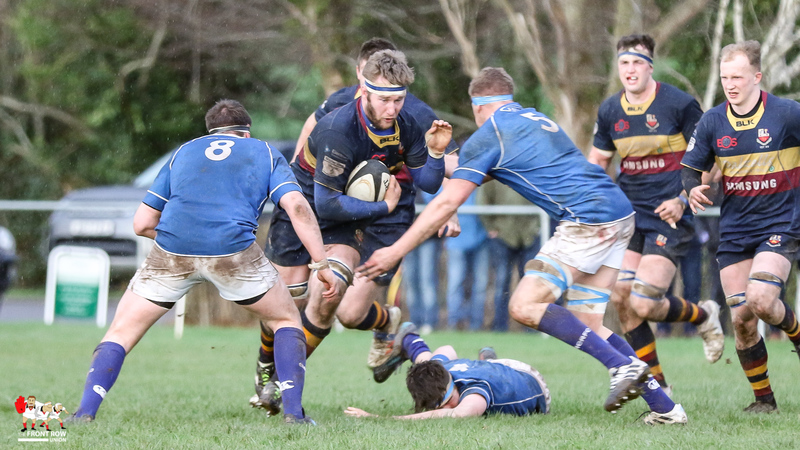 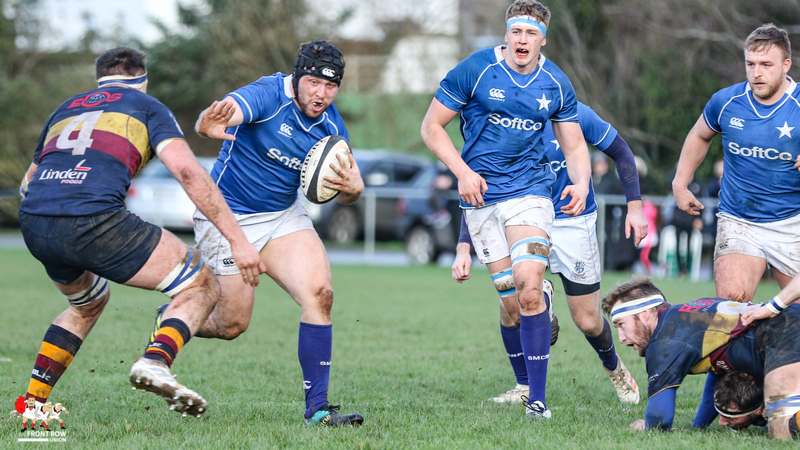 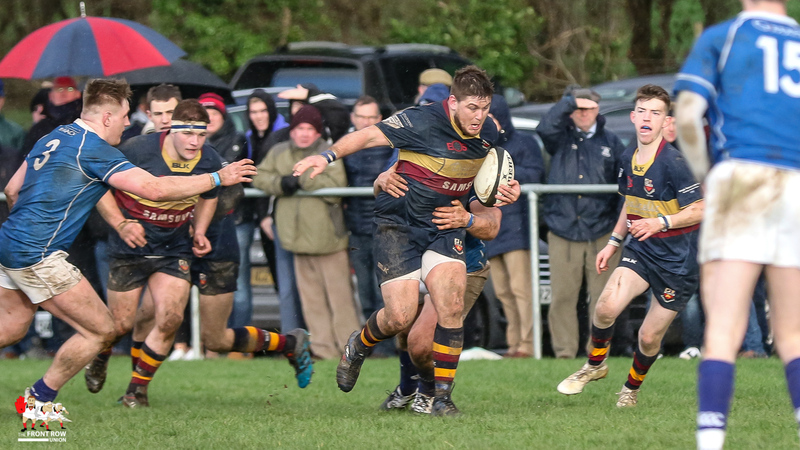 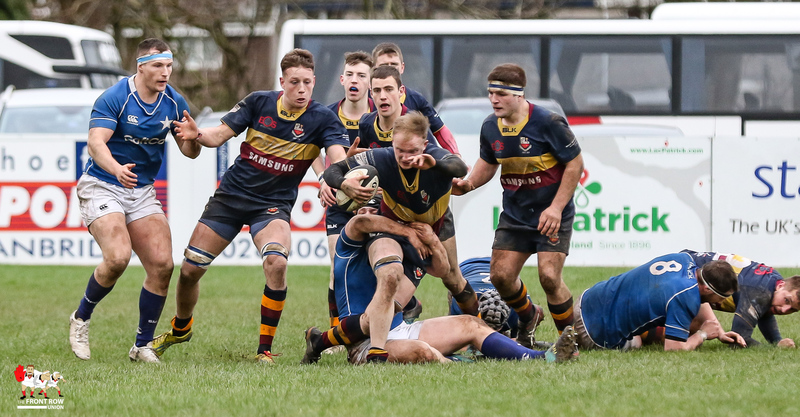 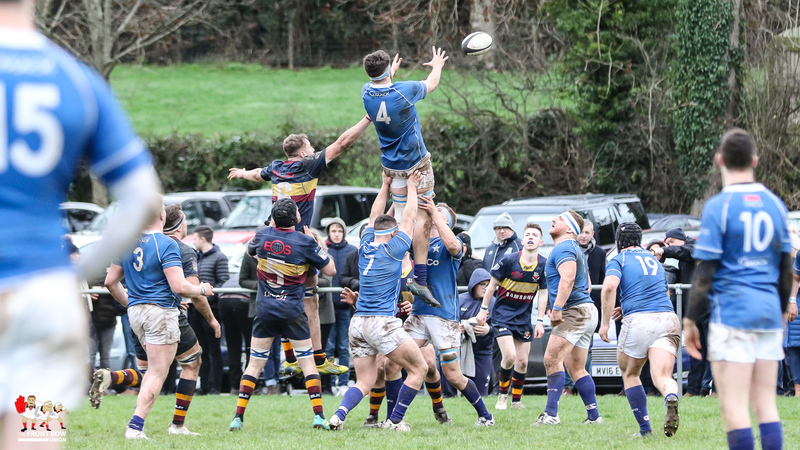 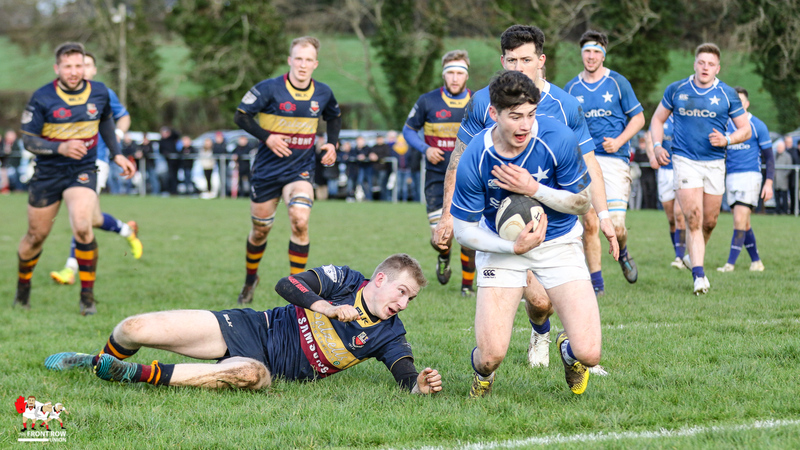 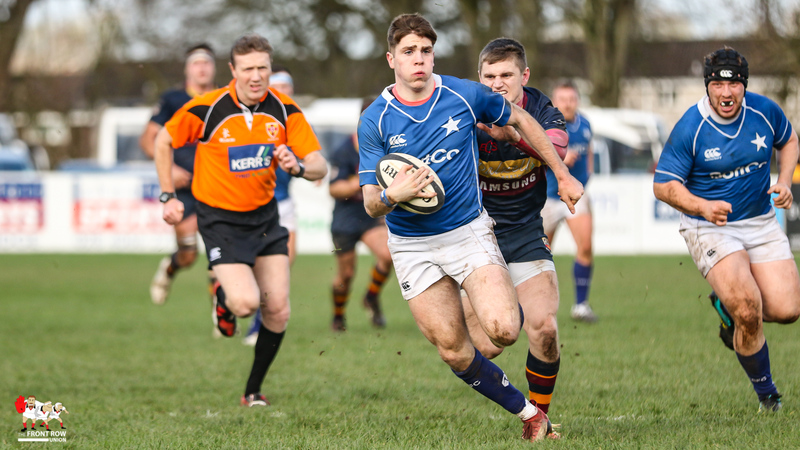 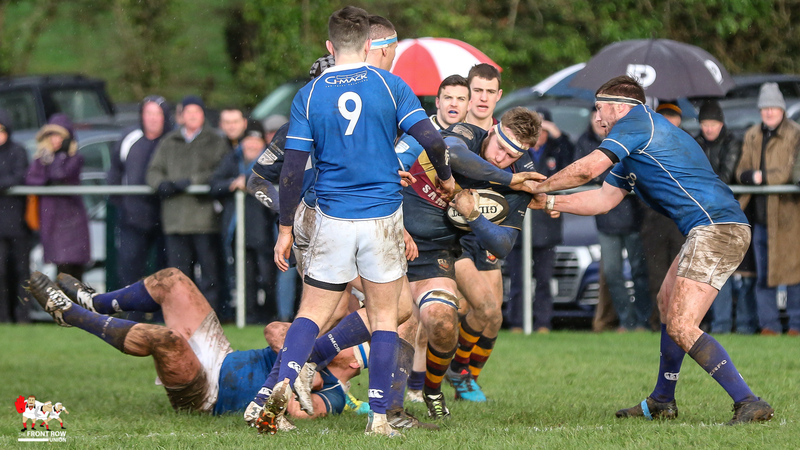 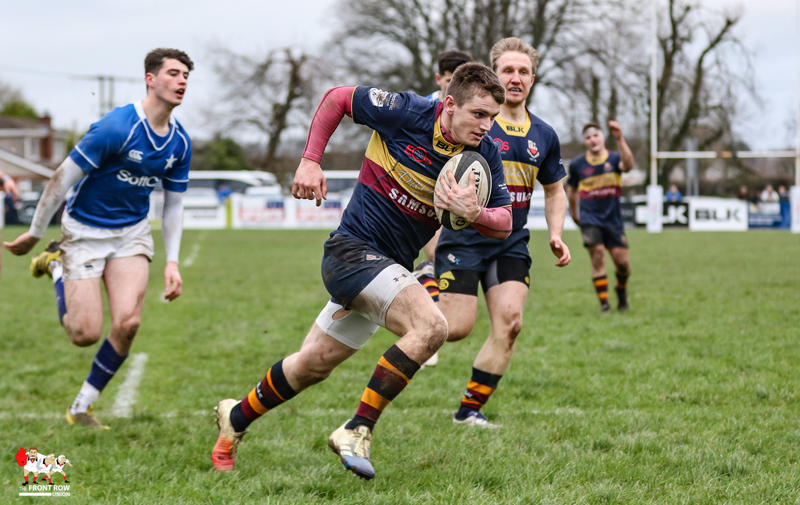 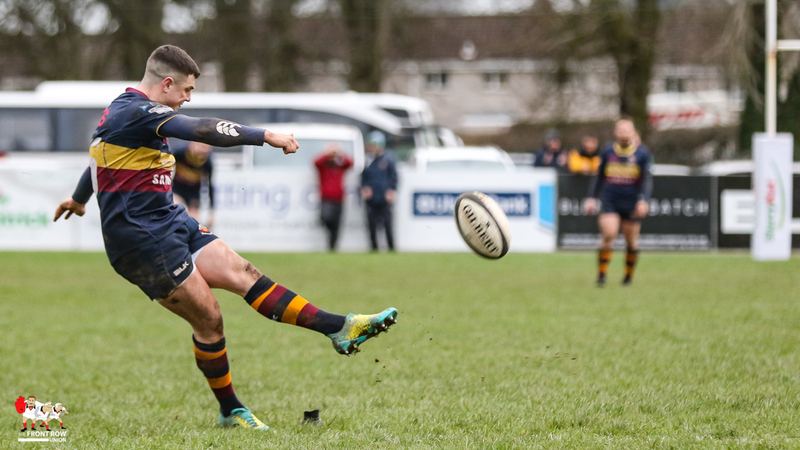 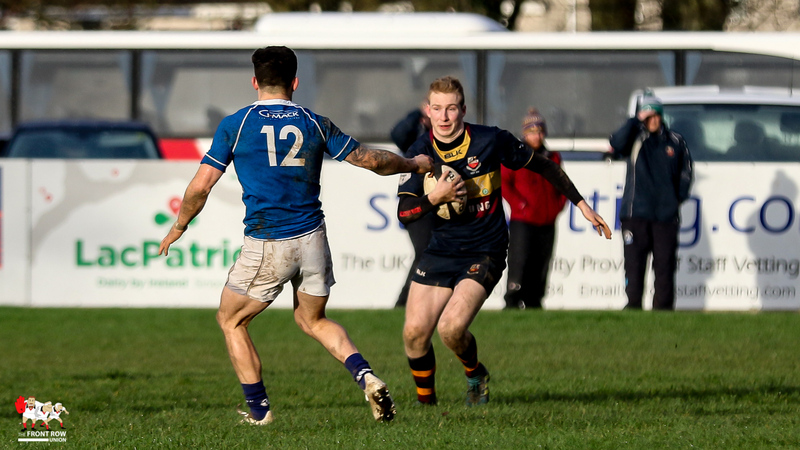 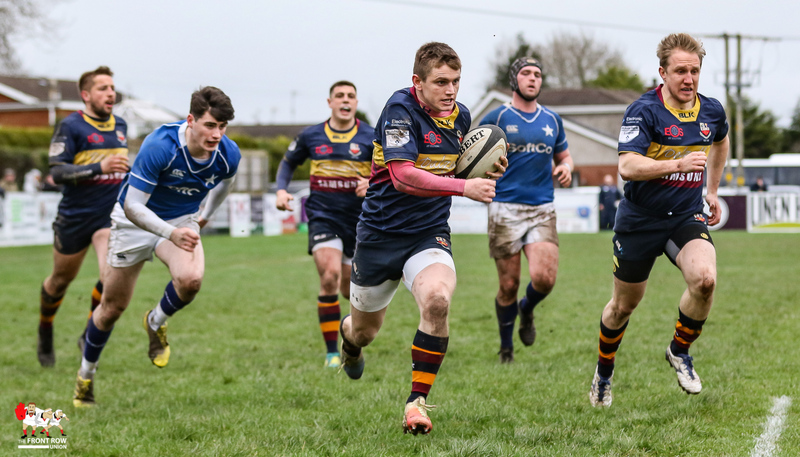 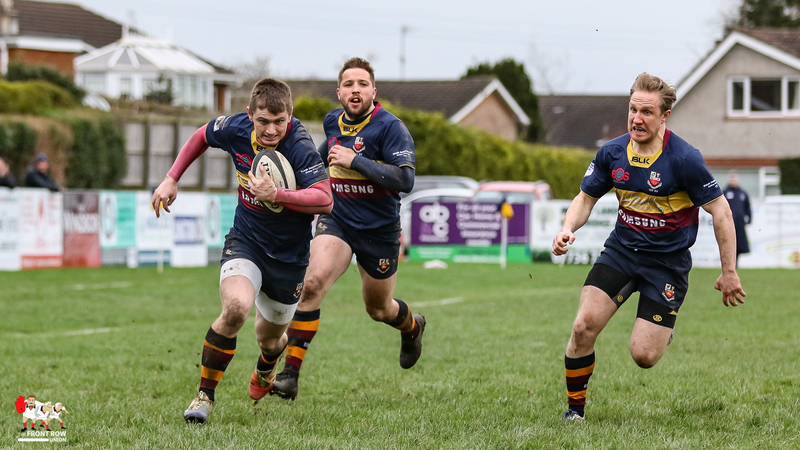 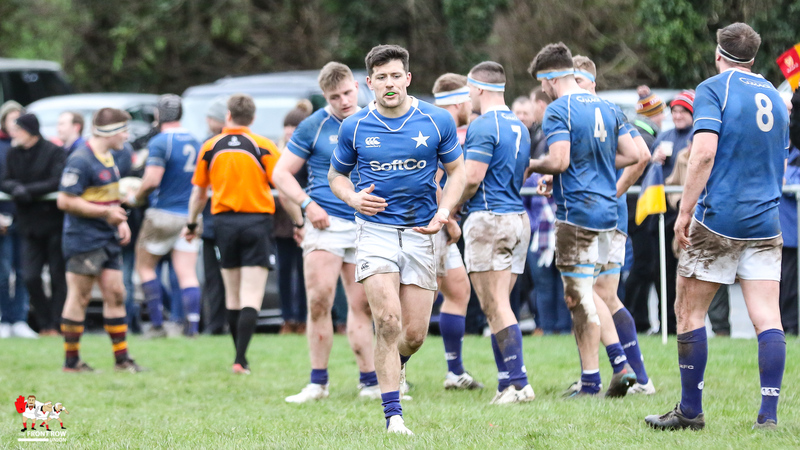 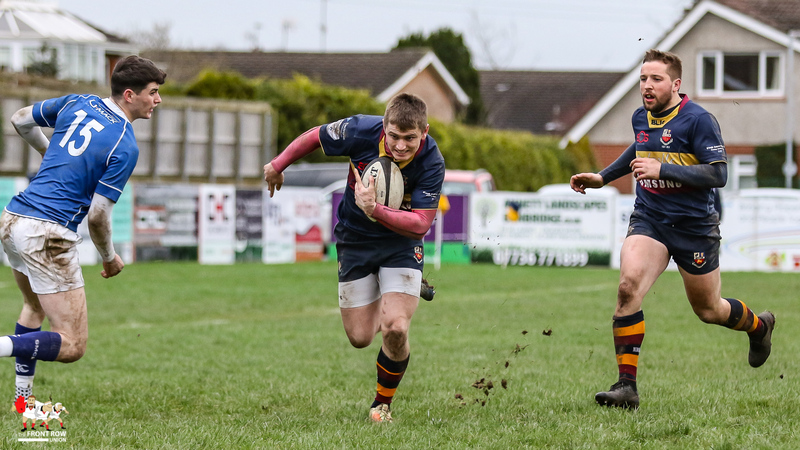 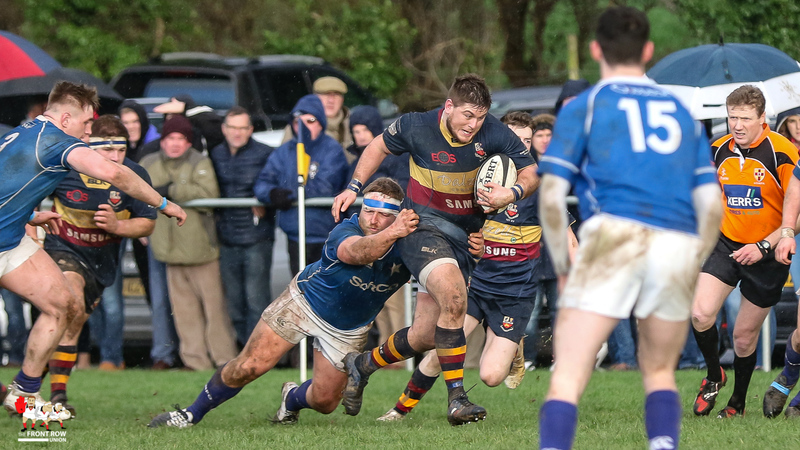 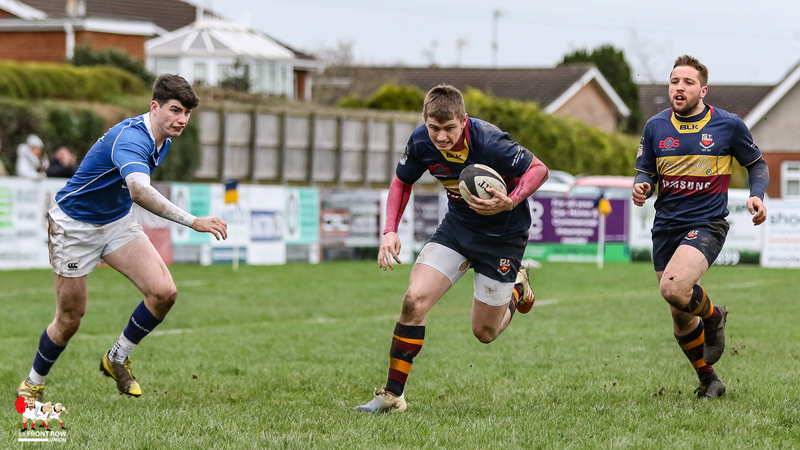 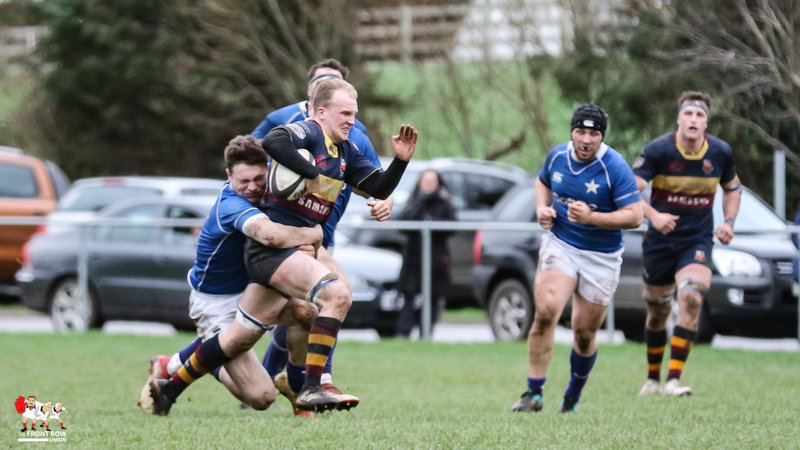 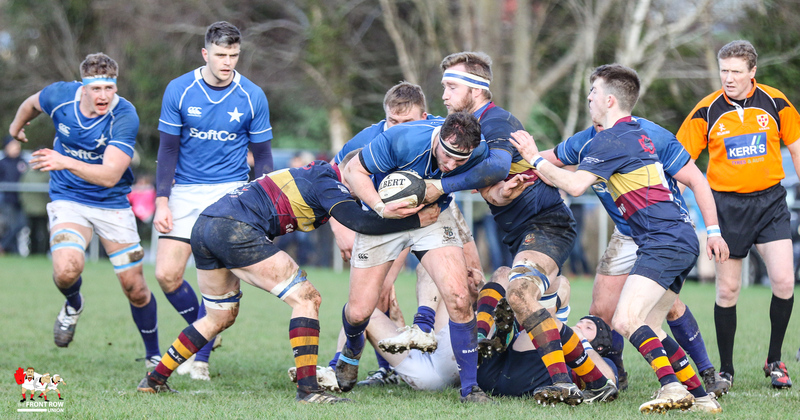 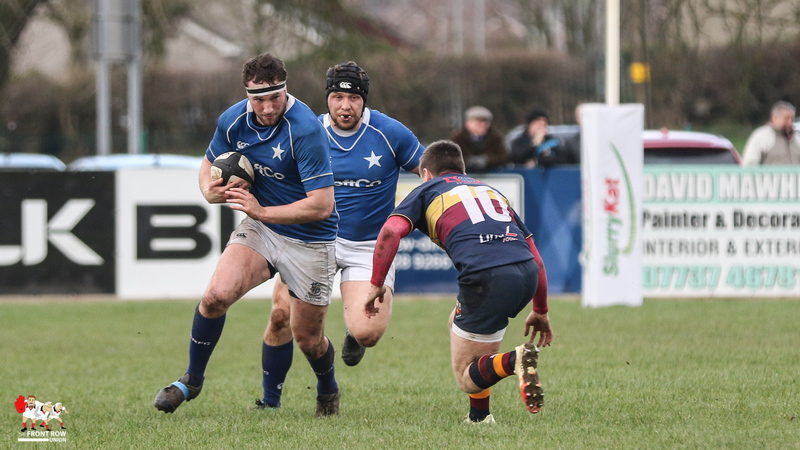 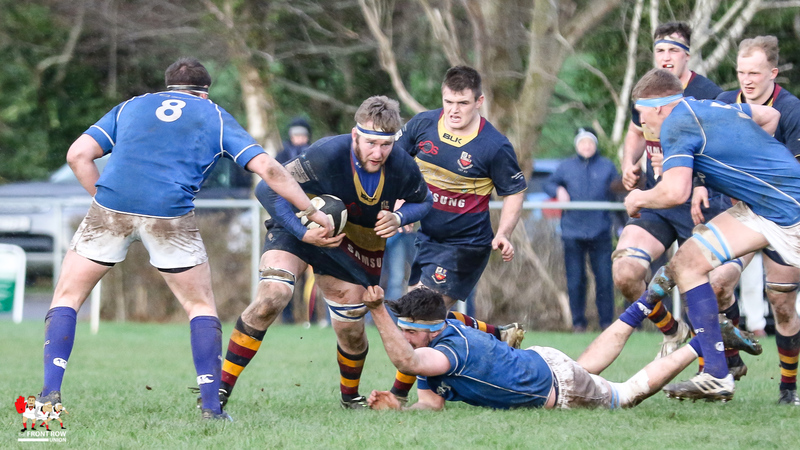 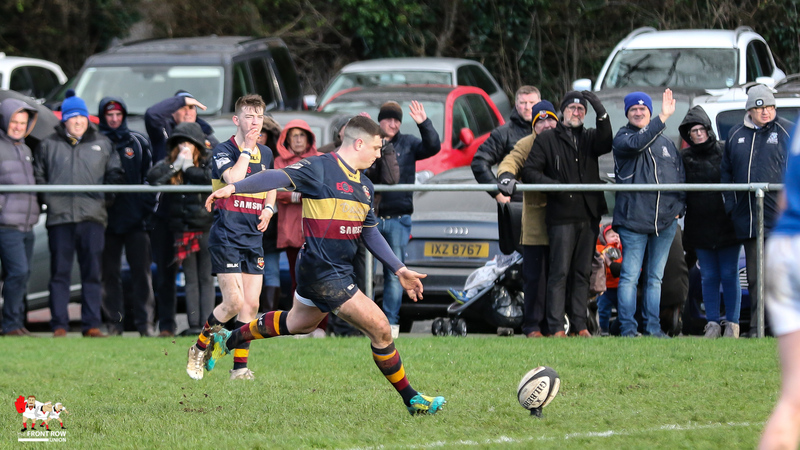 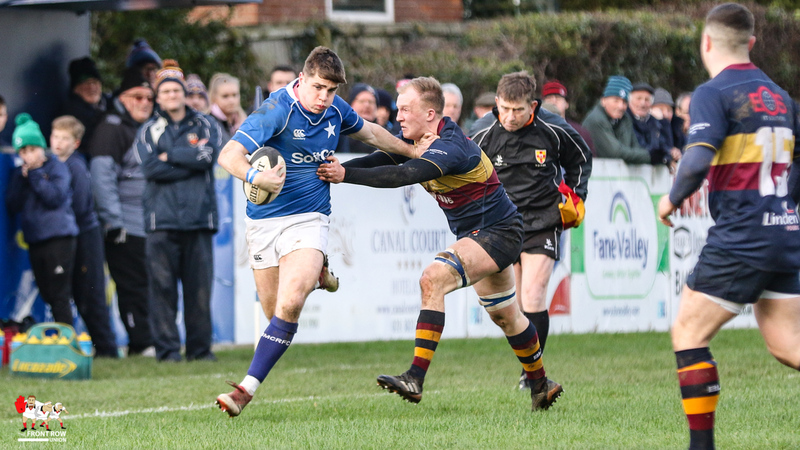 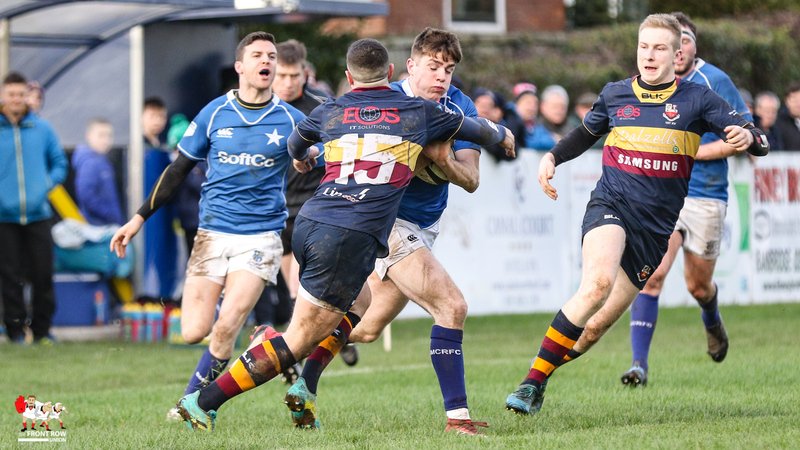 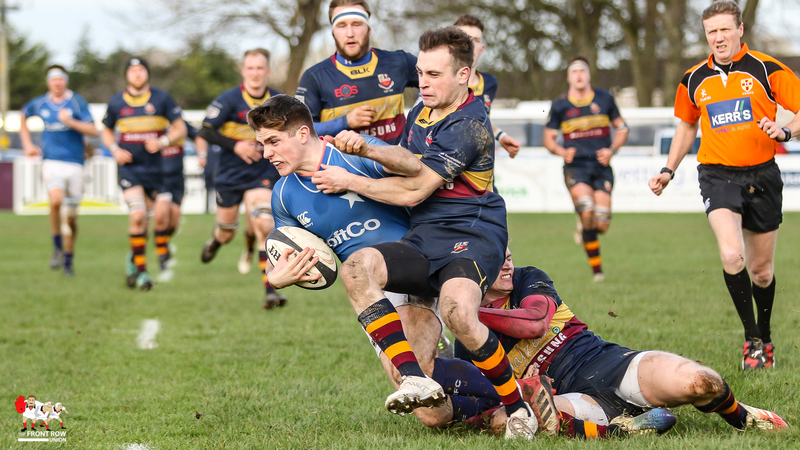 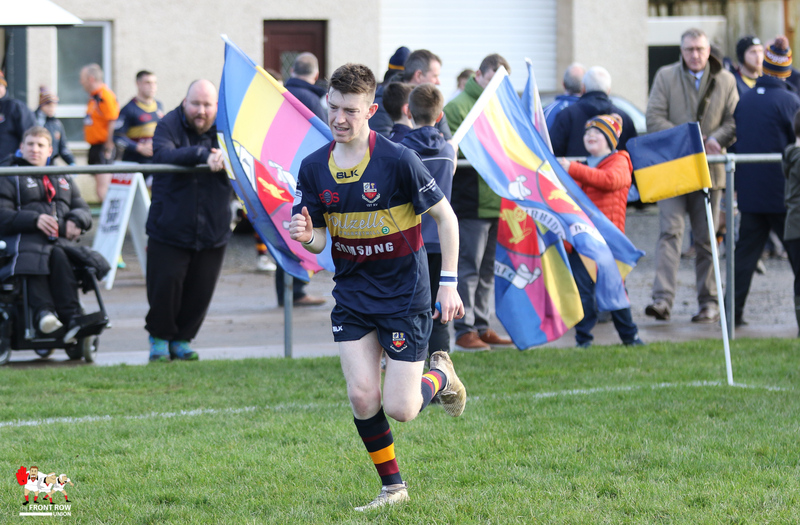 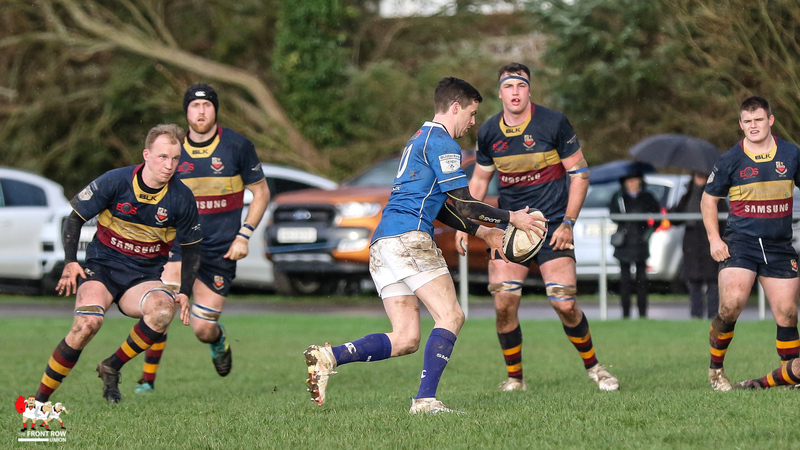 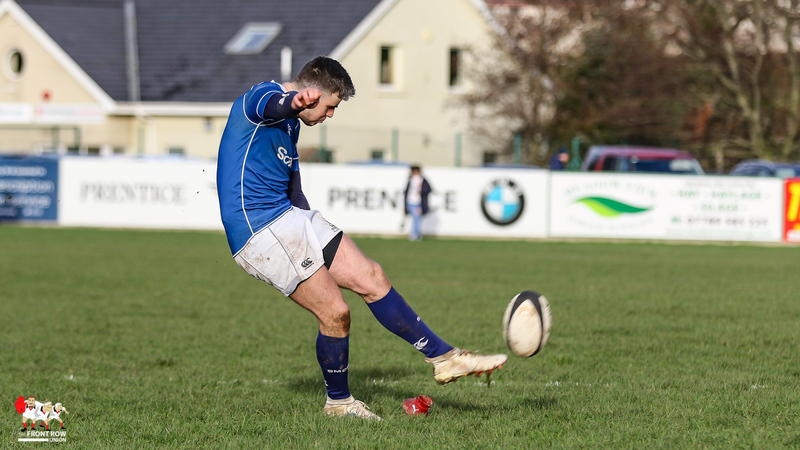 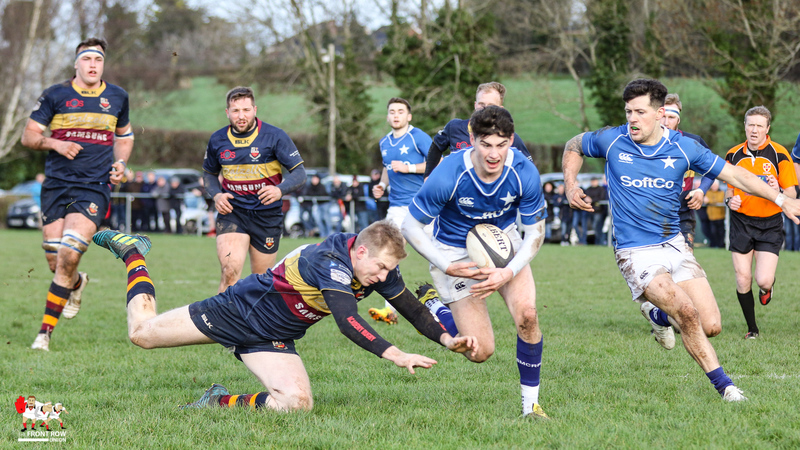 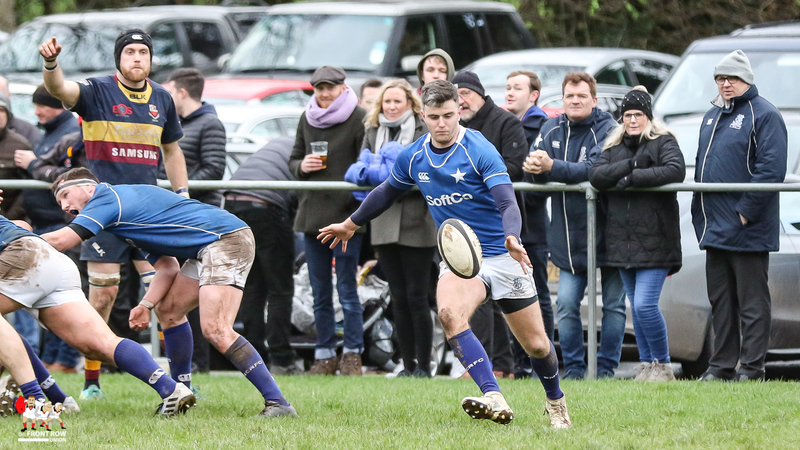 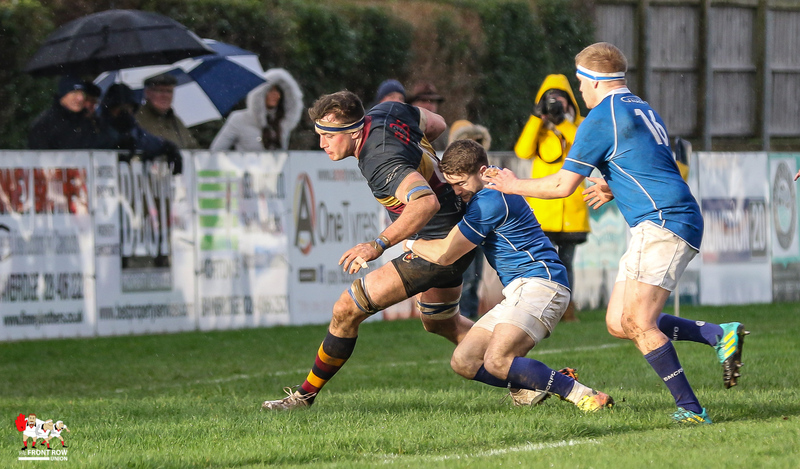 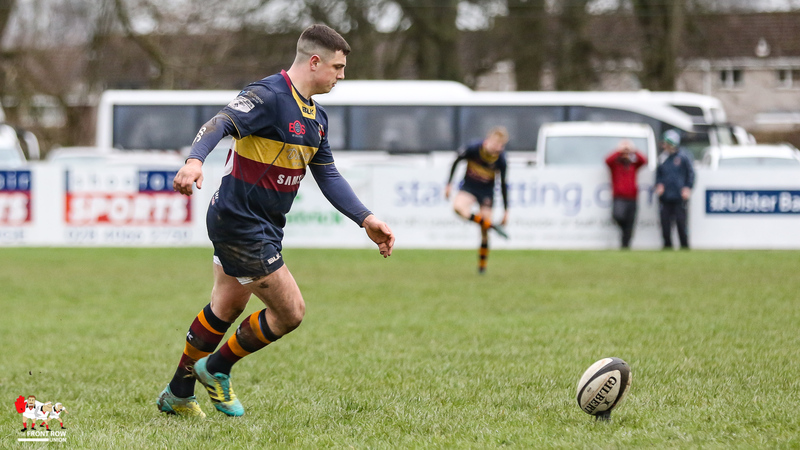 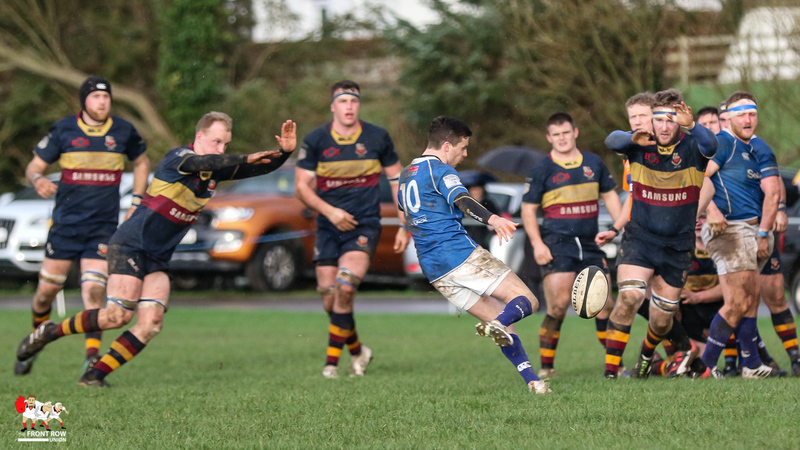 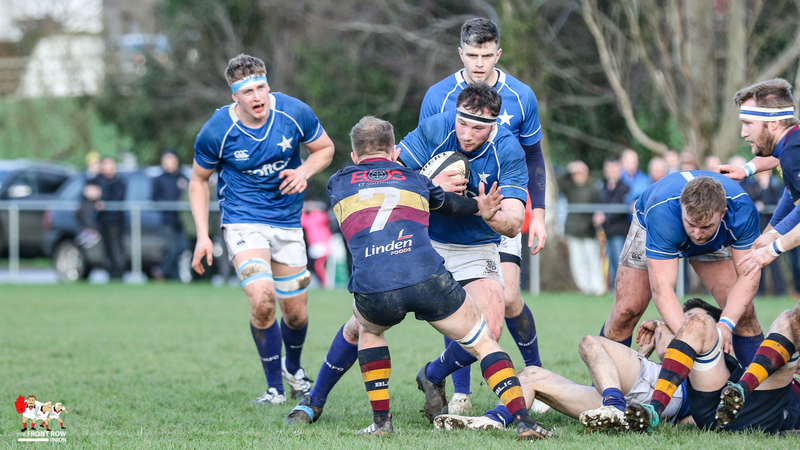 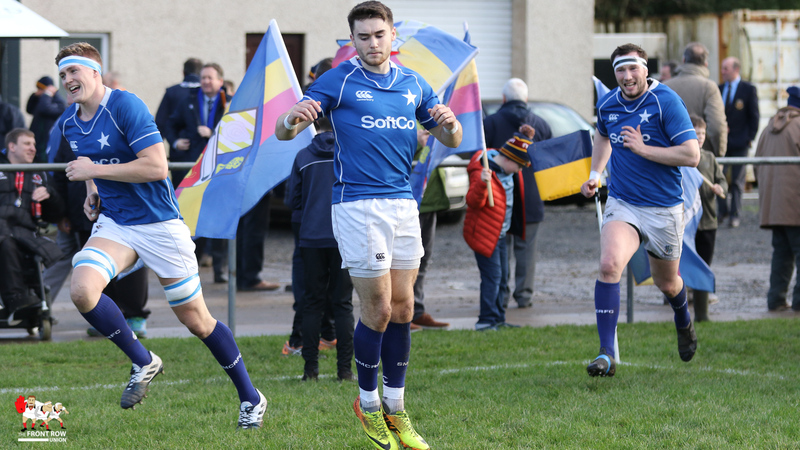 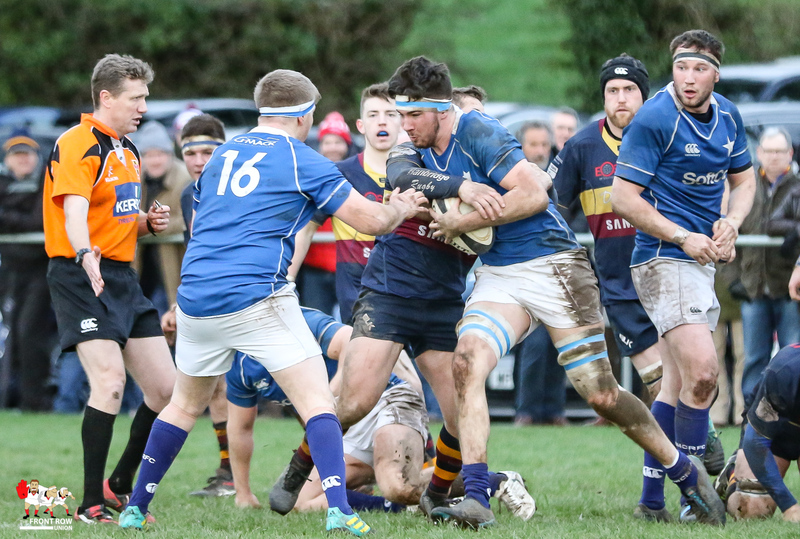 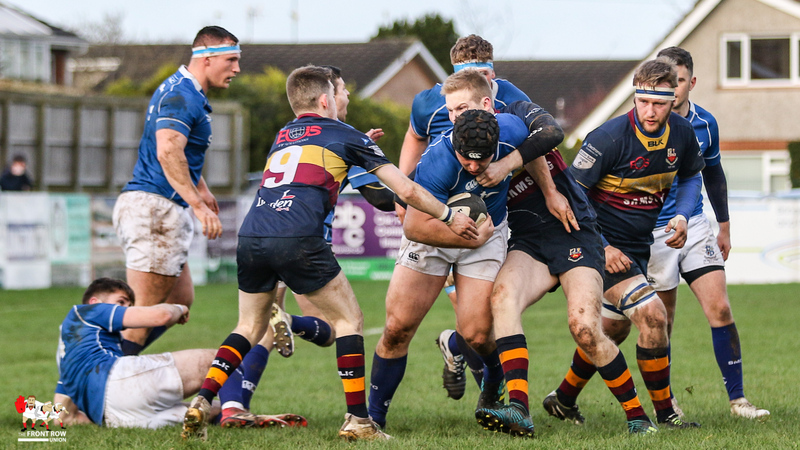 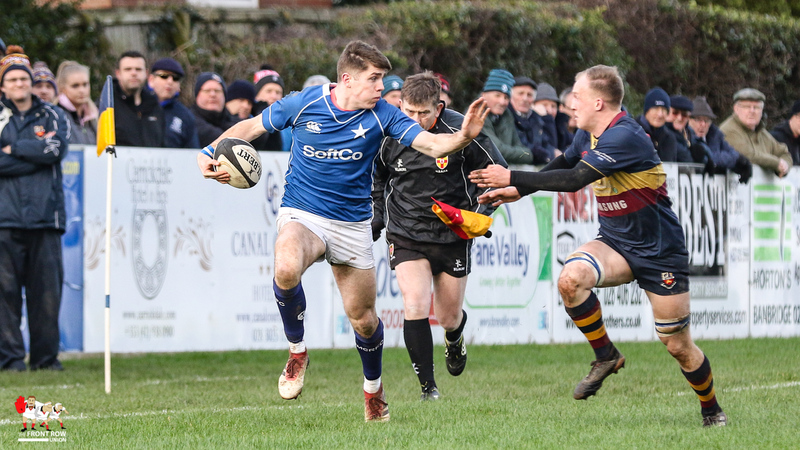 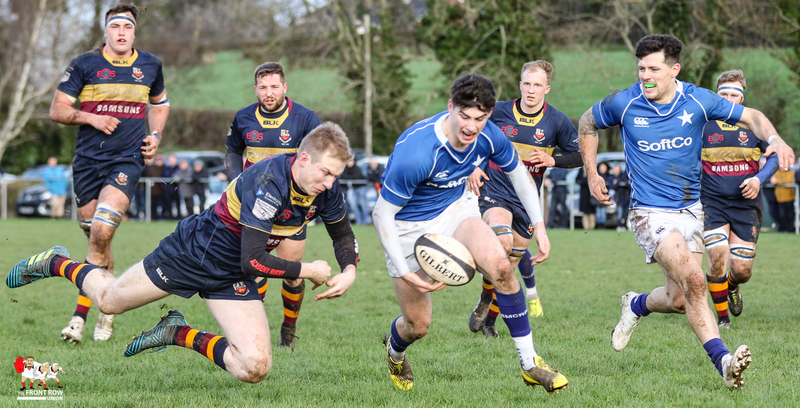 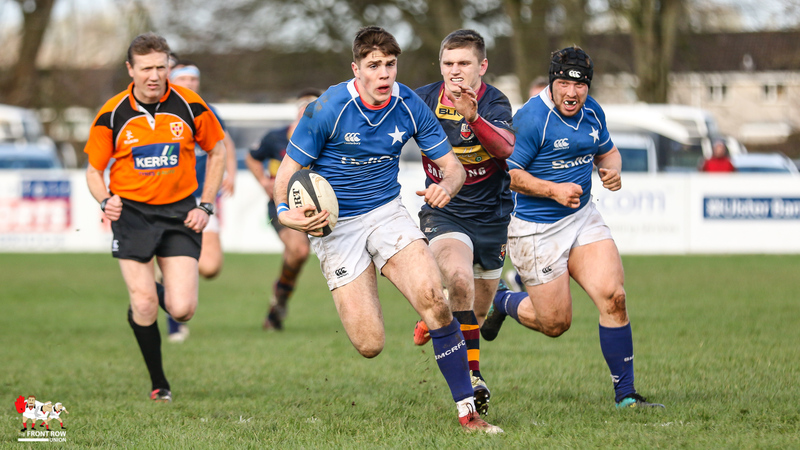 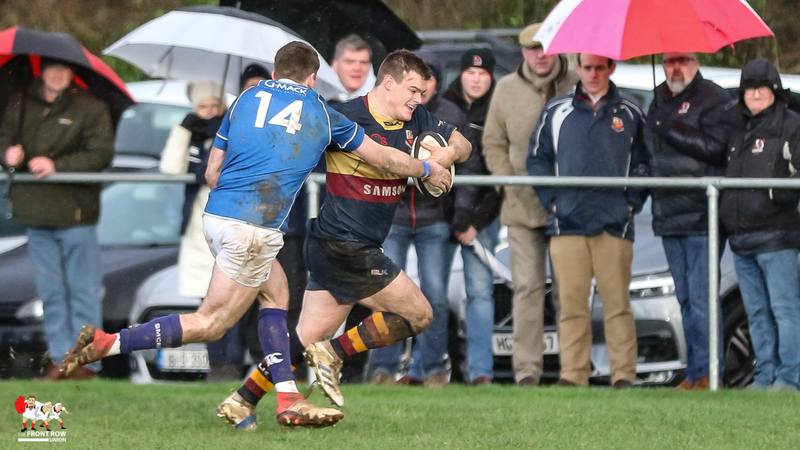 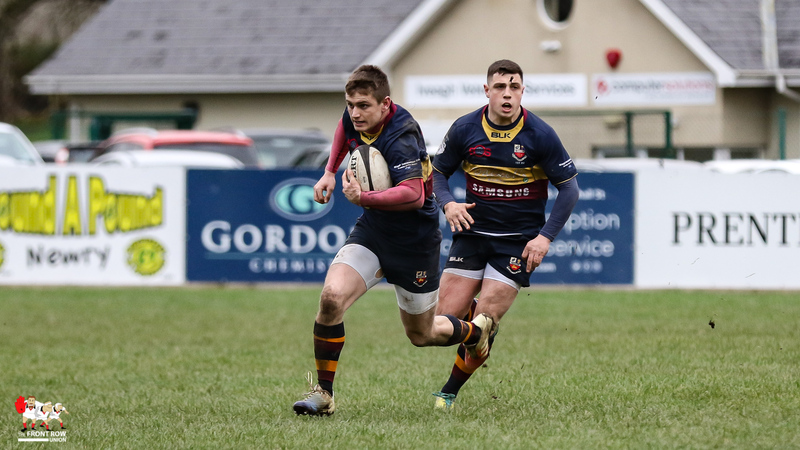 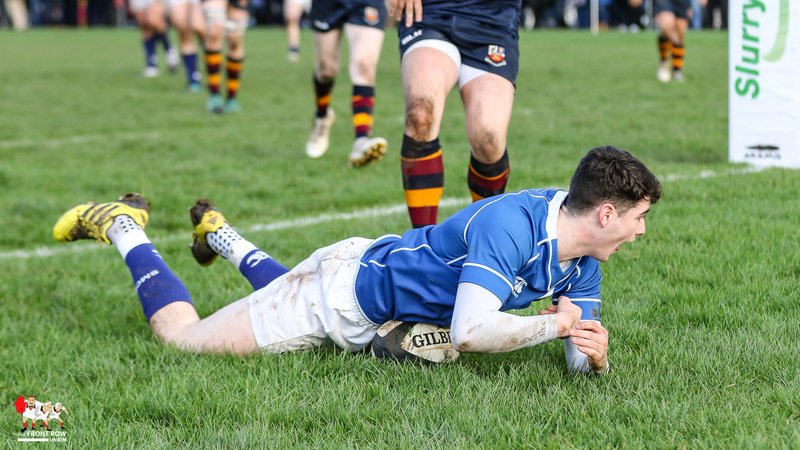 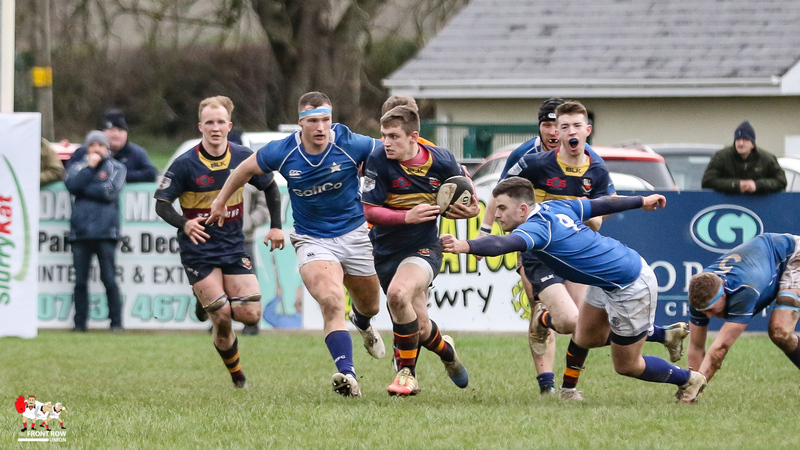 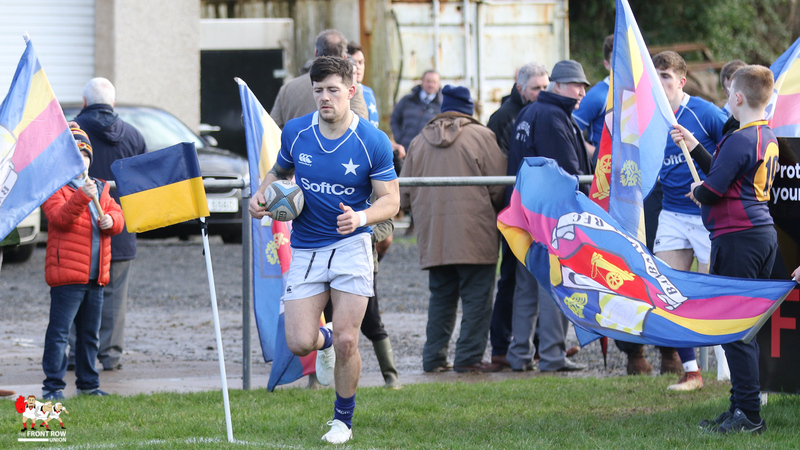 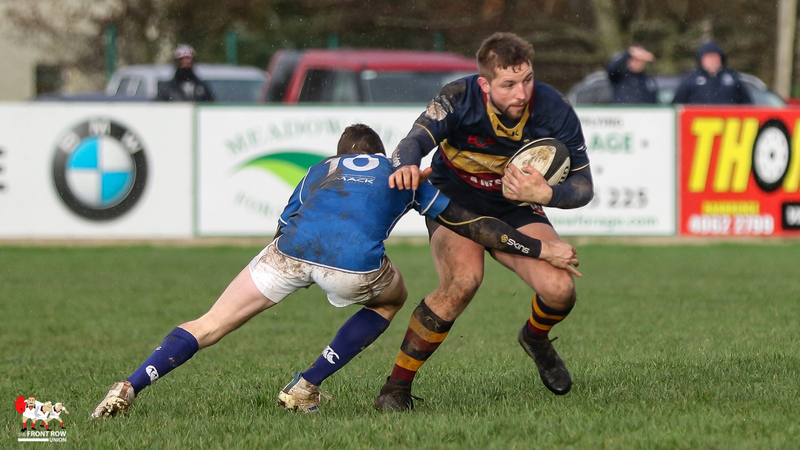 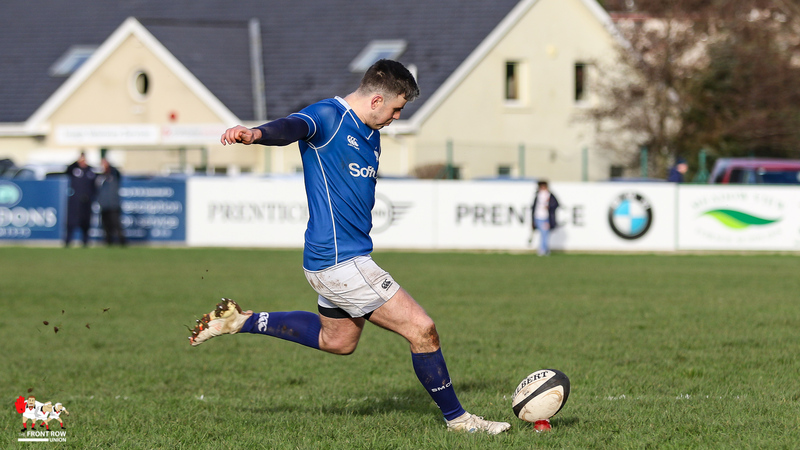 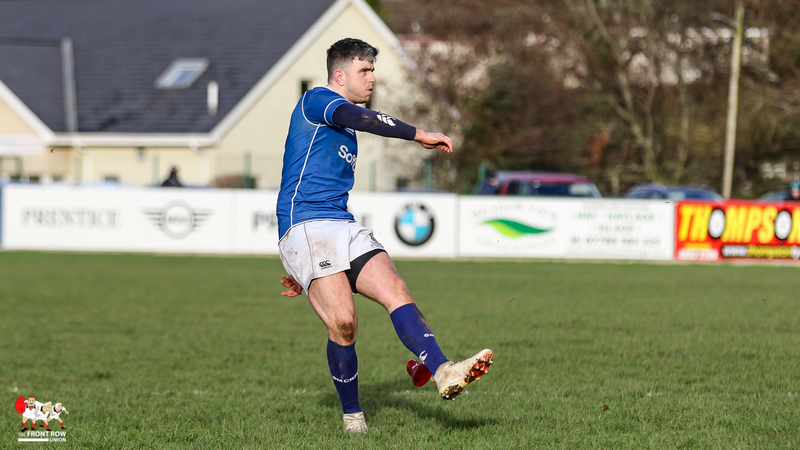 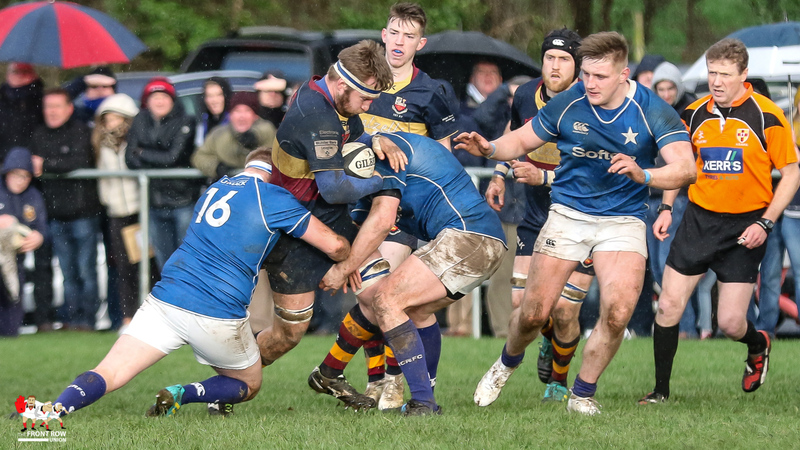 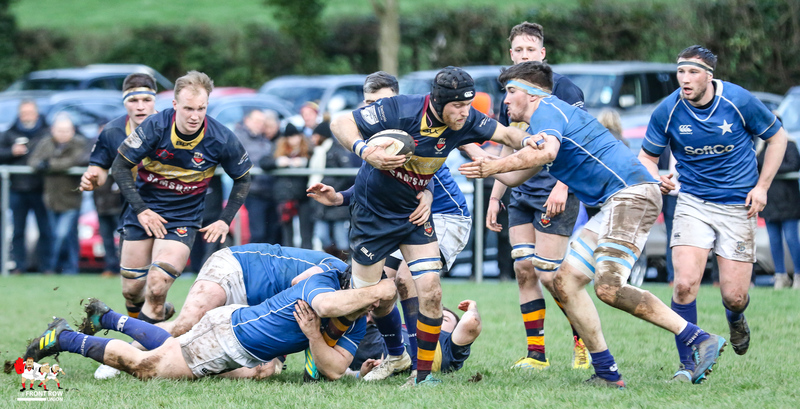 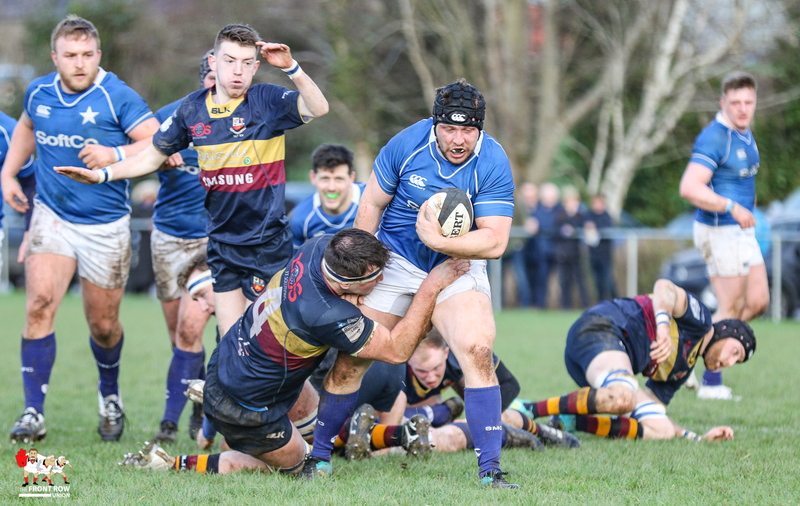 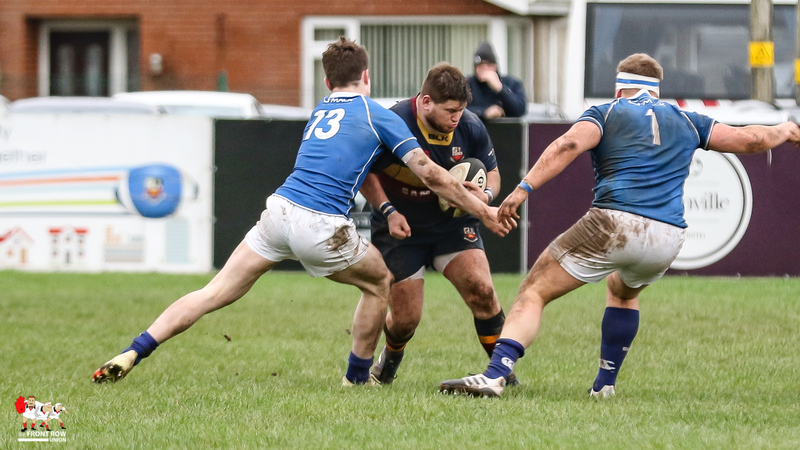 Banbridge moved to second place in the AIL1B with a win against St Mary’s College Dublin at Rifle Park on Saturday afternoon. 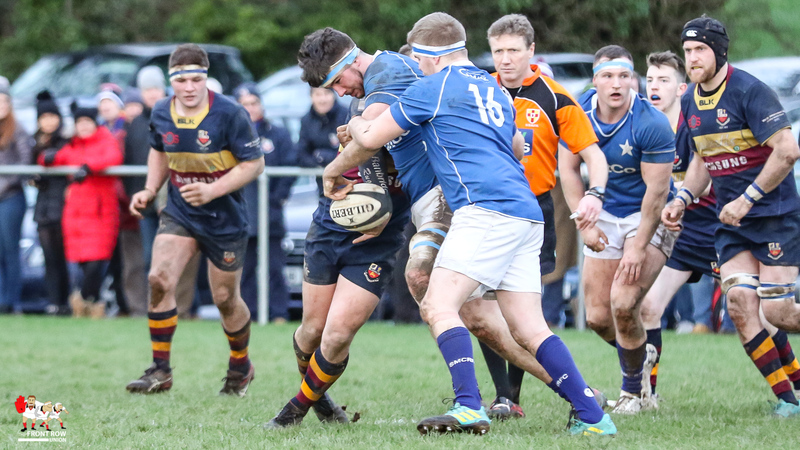 It was a fairly dour opening half hour in this one as both sides tested each others defence. 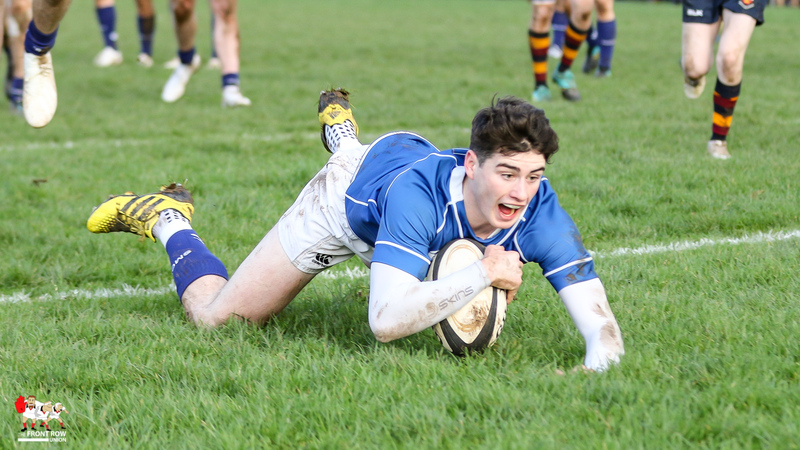 However the game sprang to life when St Mary’s Ruairi Shields gleefully collected a neat little grubber from Connor Dean to score the games first try. 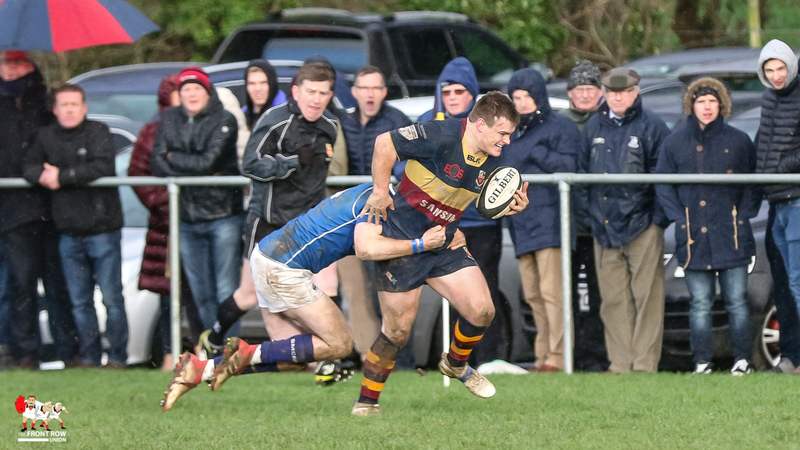 Paddy O’Driscoll converted to give the the visitors a seven point lead. 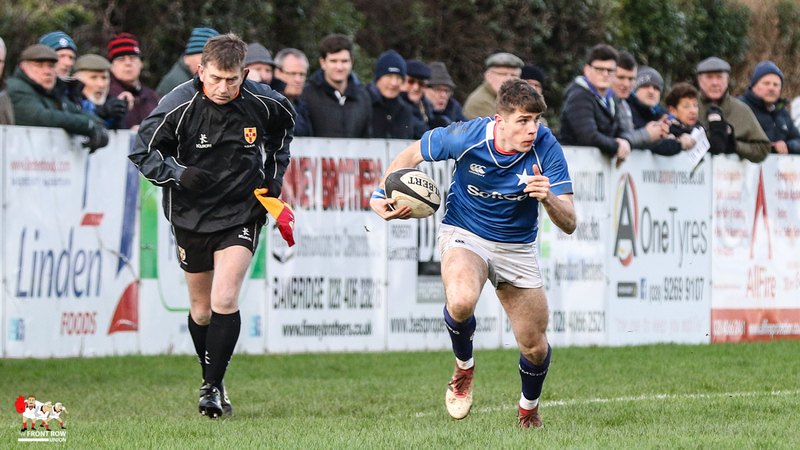 Banbridge responded almost immediately and a clever move off the back of a line out saw John Porter break clear for a well worked try. 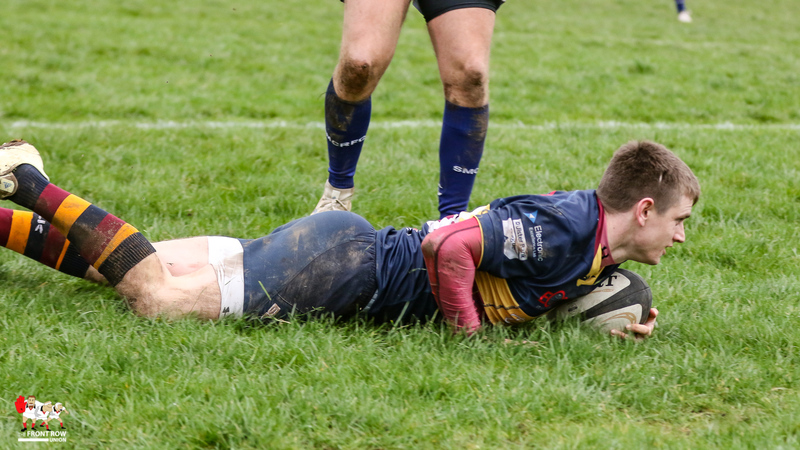 Adam Doherty converted and the teams turned round with the score at 7 each. 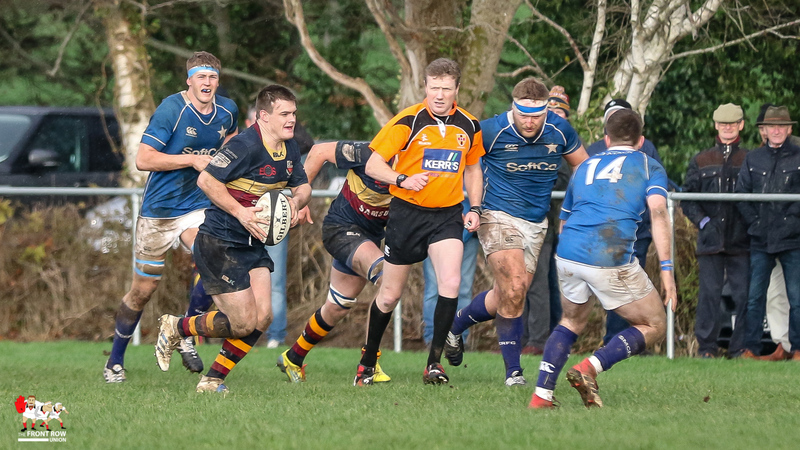 The second half moved along at a better pace. 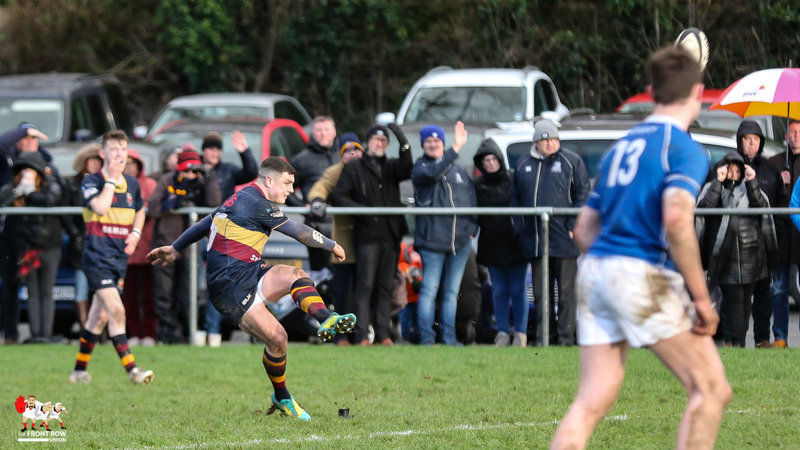 A flurry of penalties saw Mary’s in front 10 – 13 with O’Driscoll knocking over two to Doherty’s one. 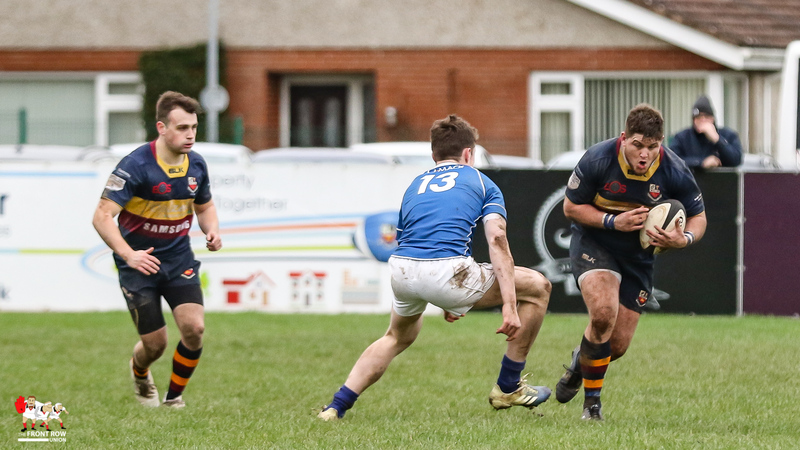 However Bann edged in front after a wonder try from Josh Cromie, who broke from the halfway line to score an unconverted try. 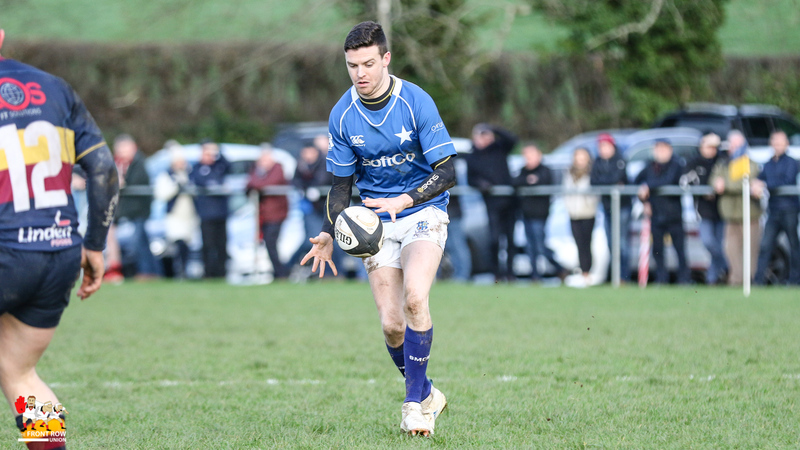 Mary’s edged in front minutes later as O’Driscoll knocked over his third penalty and a tense final quarter ensued. 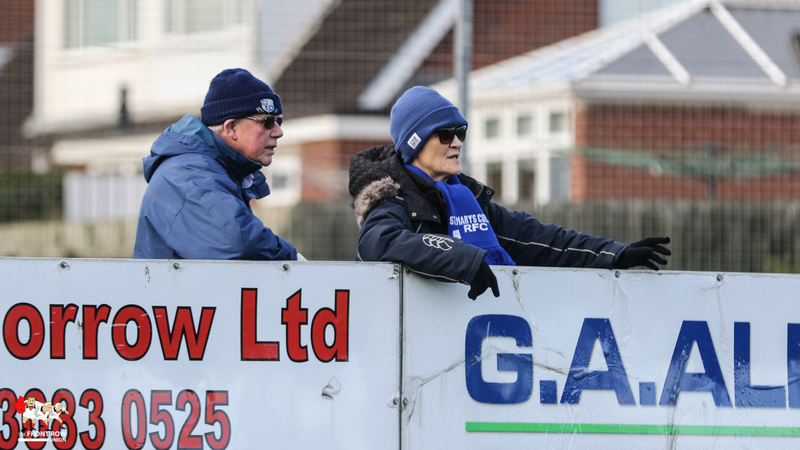 However, Doherty landed a late penalty to decide the game in Banbridge’s favour, to the delight of the large crowd. 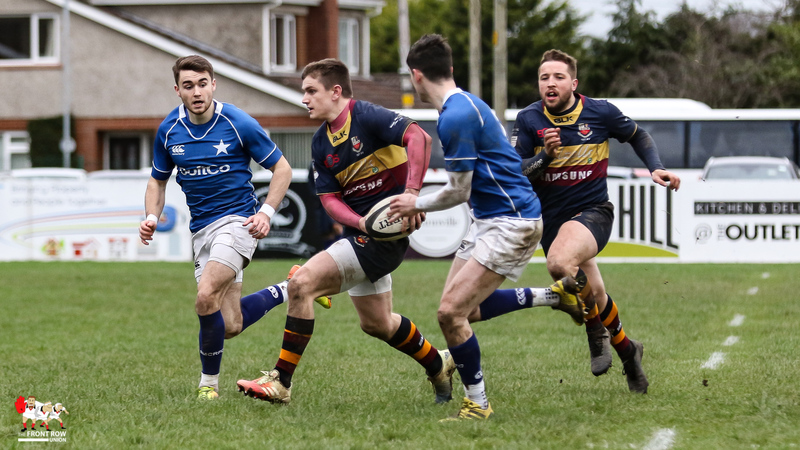 BANBRIDGE: Conor Field, Andrew Morrison, Jonny Little, Adam Doherty; Josh Cromie, Neil Kilpatrick; Michael Cromie (capt), Peter Cromie, Stuart Cromie. 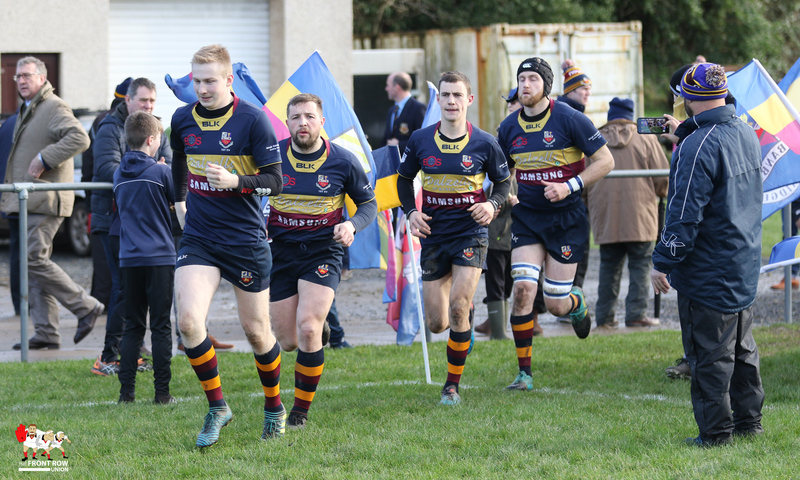 Alex Thompson, Chris Allen, Robin Sinton, Ethan Harbinson, Stevie Irvine, Andrew Jackson, Corrie Barrett, Dale Carson, Aaron Kennedy, Hugo Harbinson. 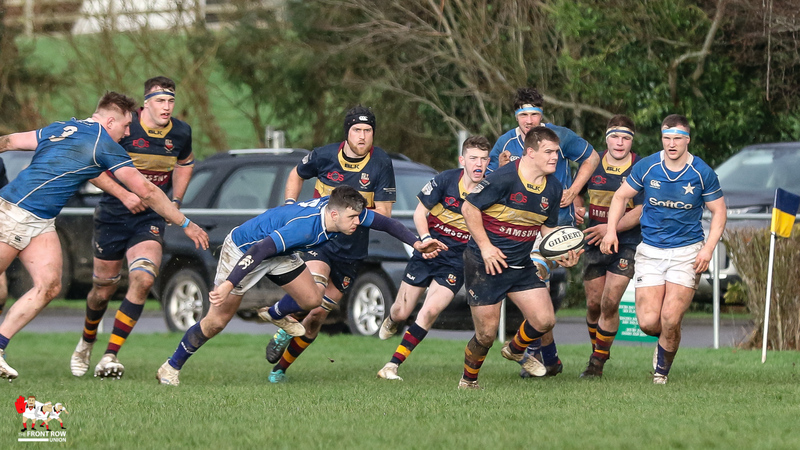 ST. MARY’S COLLEGE: Dave Fanagan; Craig Kennedy, Myles Carey, Marcus O’Driscoll (capt), Ruairi Shields; Conor Dean, Paddy O’Driscoll; Tom O’Reilly, Richard Halpin, Michael McCormack, Liam Corcoran, Hugo Diepman, Daragh McDonnell, David Aspil, Mark Fallon. 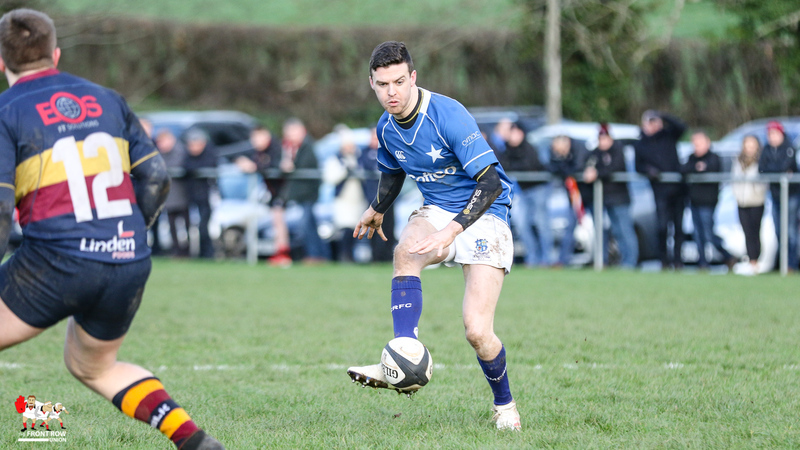 Replacements: Stephen O’Brien, Padraig Dundon, Daniel Lyons, Cormac Foley, Hugo Conway, Niall McEniff, Tim MacMahon.